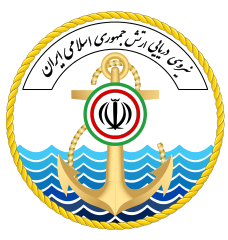 Three islands disputed between Iran and the United Arab Emirates (UAE). 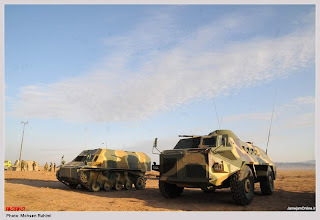 The islands of Abu Musa, the Lesser Tunbs and the Greater Tunbs. 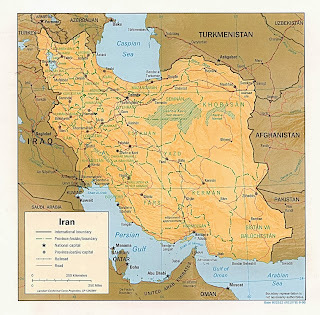 Historically all three were part of Iran. Computer hackers that conduct cyber warfare over the internet. 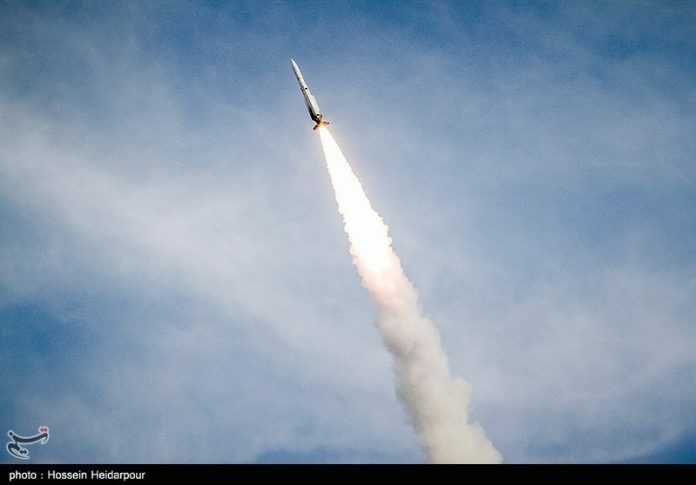 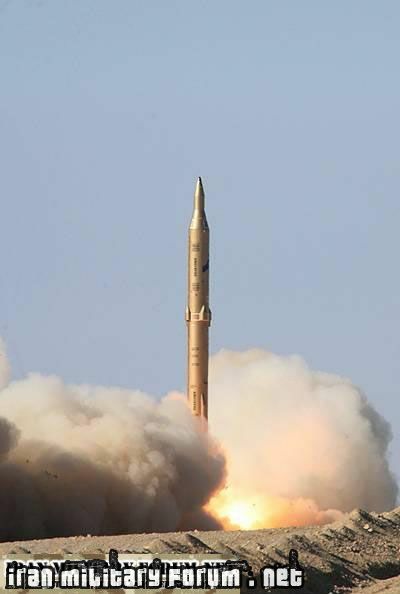 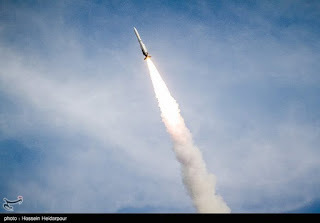 On March 17, 2011 Iran sends a space capsule into orbit on board a Kavoshgar-4 (Explorer-4) rocket. In 2006 an Iranian UAV tracked the U.S. aircraft carrier USS Ronald Reagan undetected for 25 minutes and returned safely back to its base. 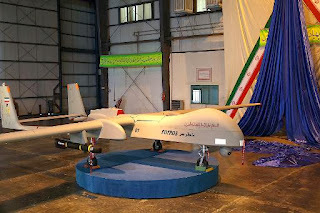 On December 4, 2011 a U.S. RQ-170 stealth UAV was electronically hacked into by Iranian military forces while flying over Iranian airspace. 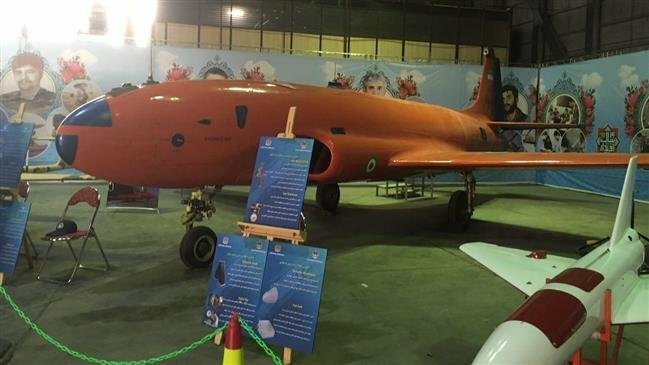 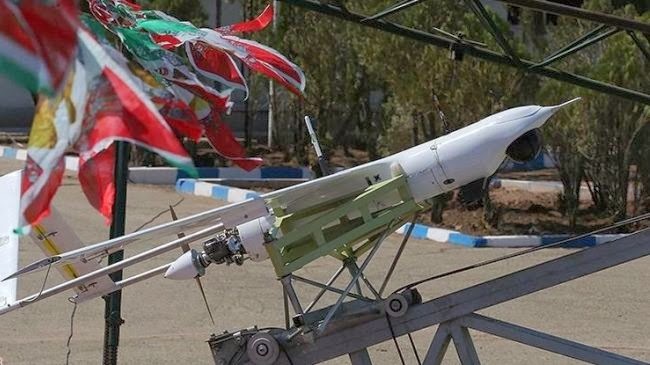 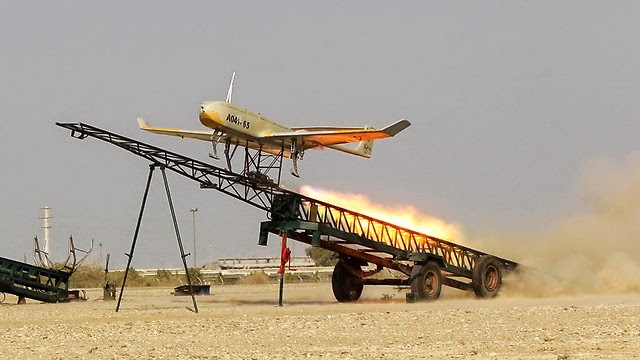 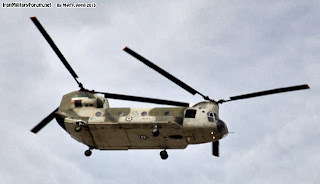 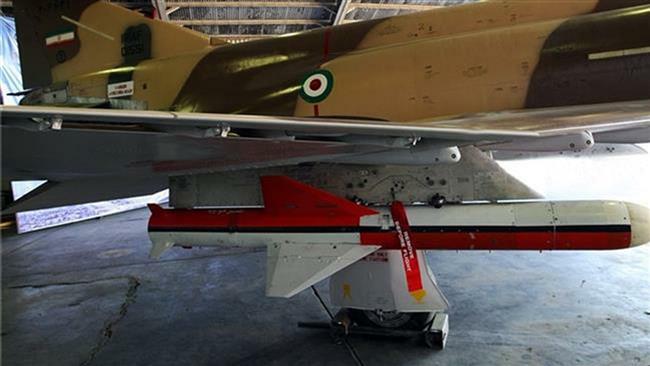 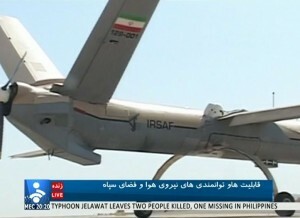 The unmanned aerial vehicle was then landed safely on Iranian ground. 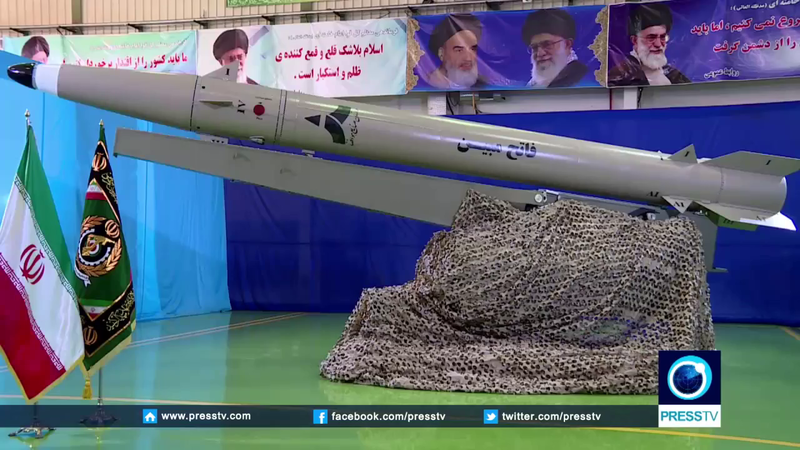 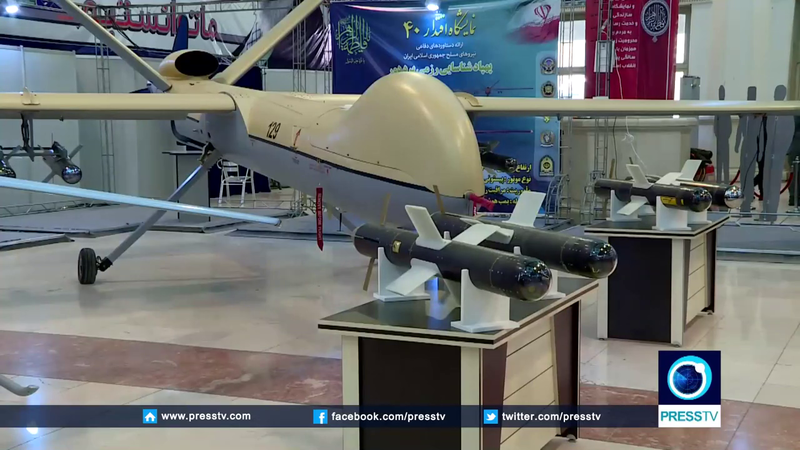 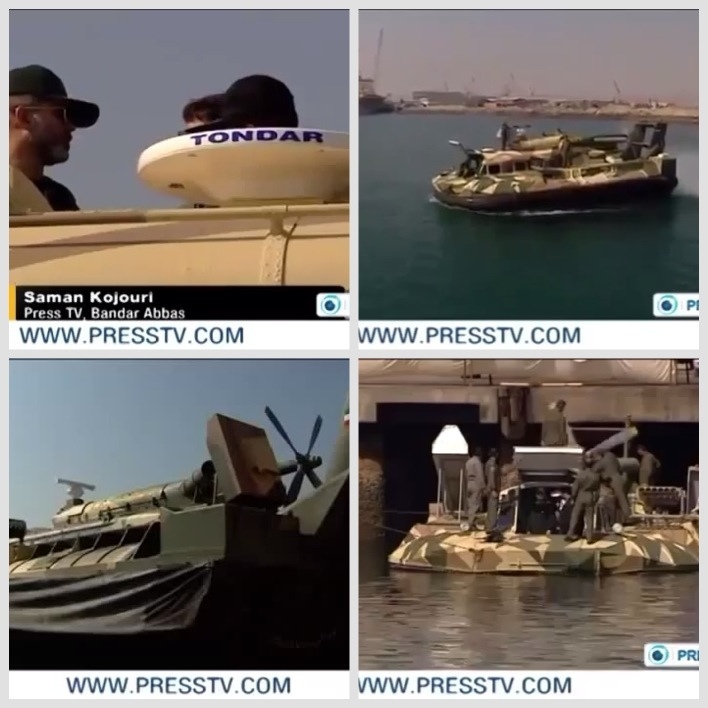 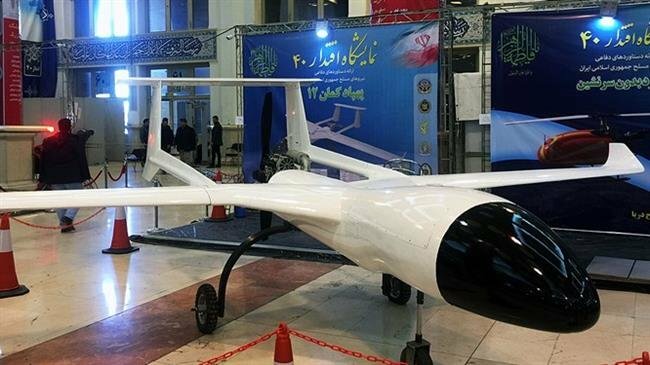 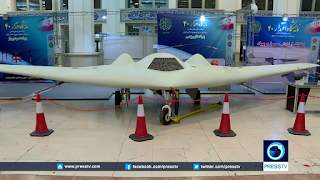 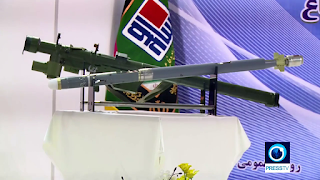 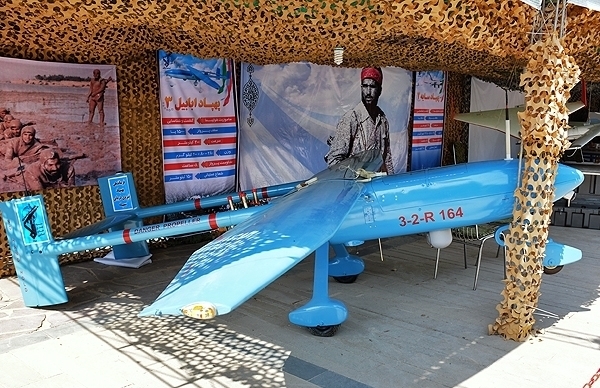 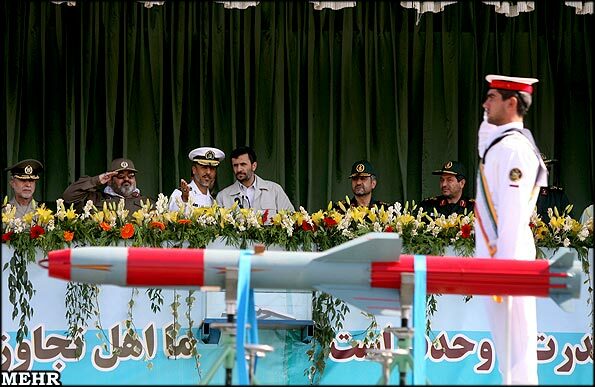 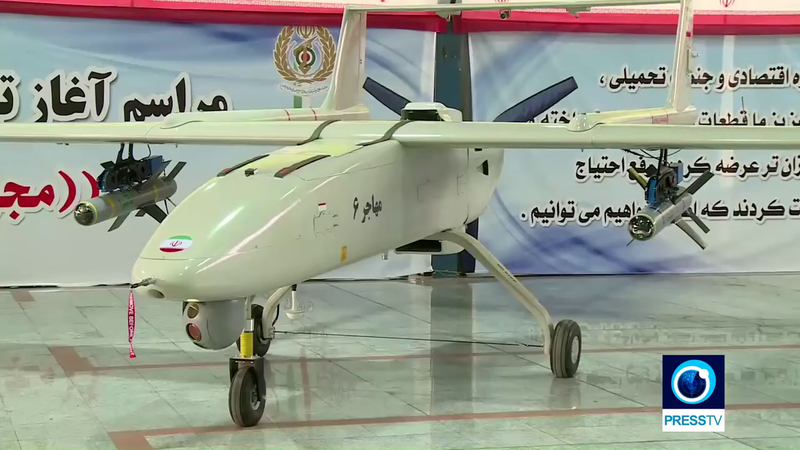 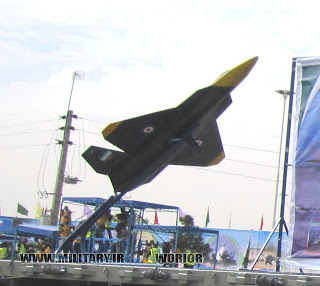 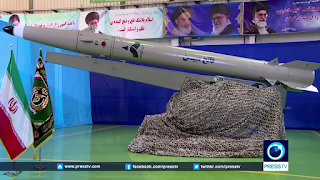 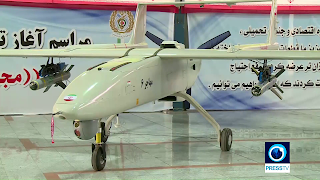 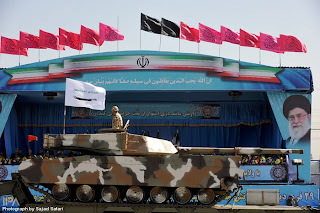 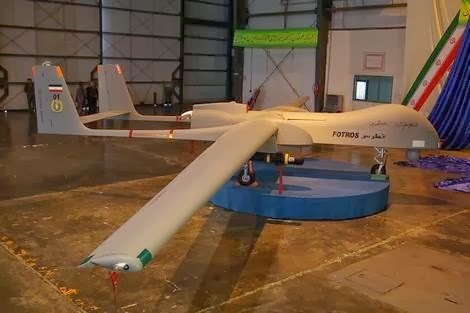 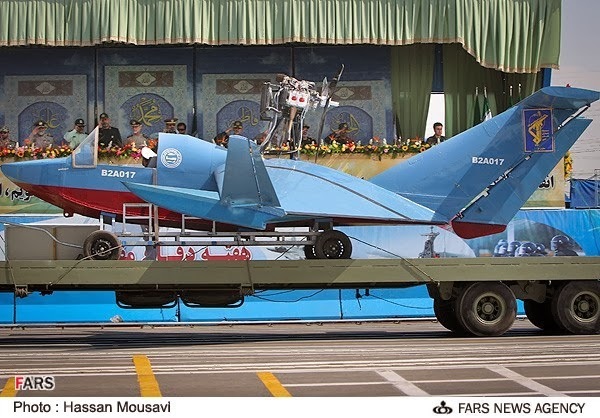 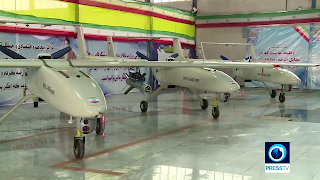 The Iranian military displayed the relatively undamaged UAV on Iranian television about a day or two later. 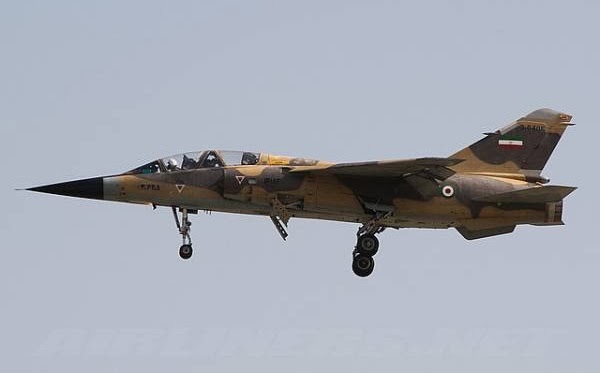 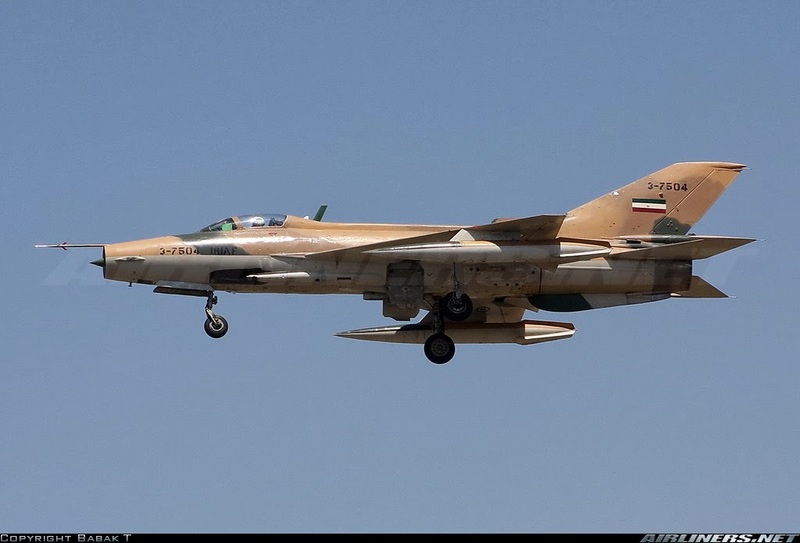 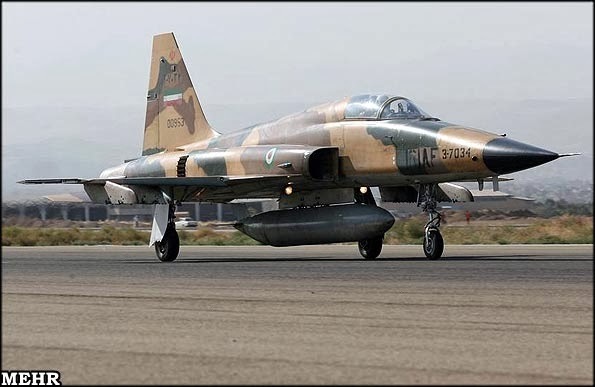 Qaher-313 (“Conqueror-313”) Iranian made radar evading fighter aircraft. 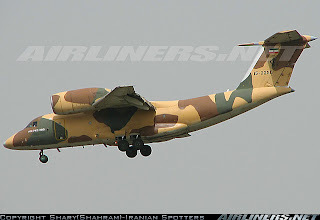 Controversy about the legitimacy of this aircraft. 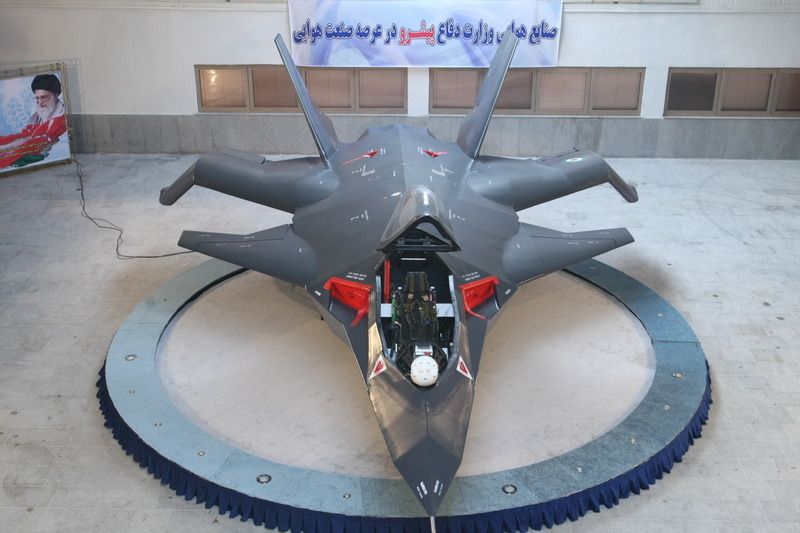 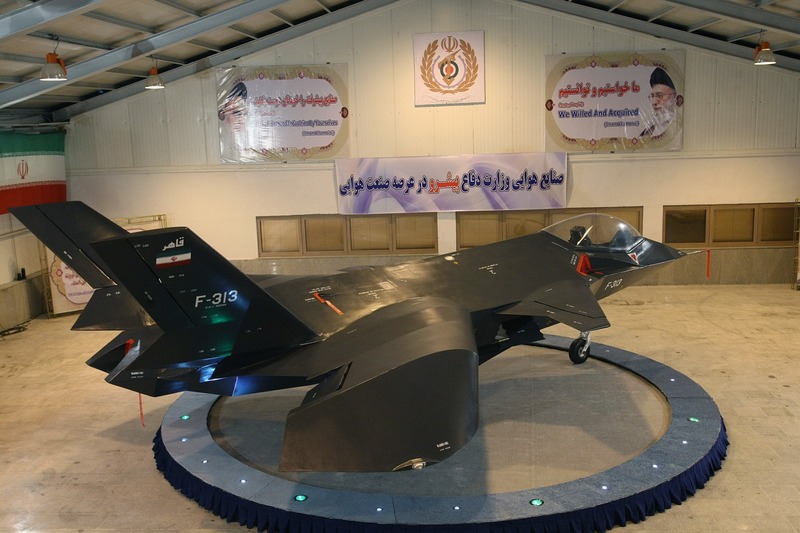 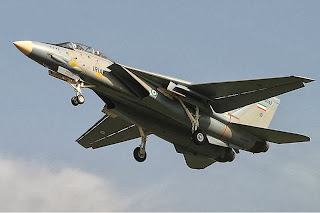 Azarakhsh- Developed from the F-14 Tomcat or F-5 ? used for ground attack.??? 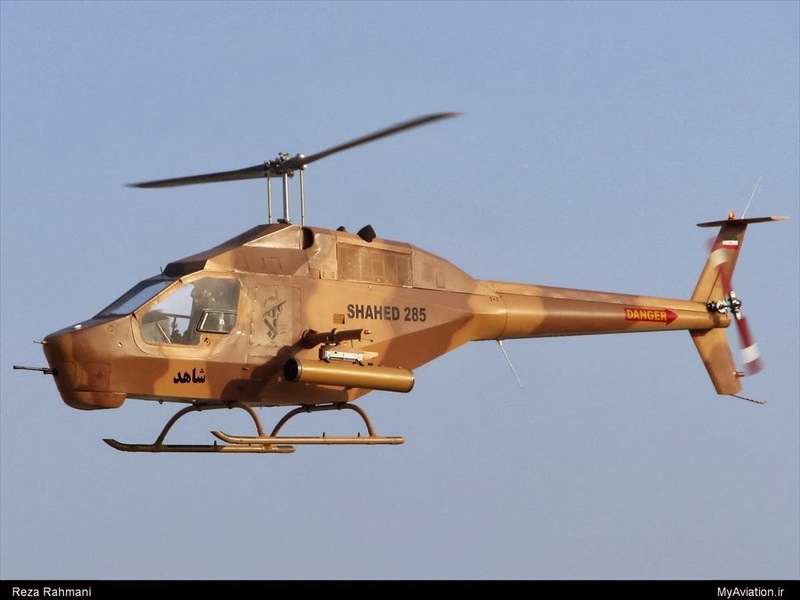 Shahed 129 ("Witness" 129)- Used for reconnaissance and combat. Copy of the israeli Hermes 450? 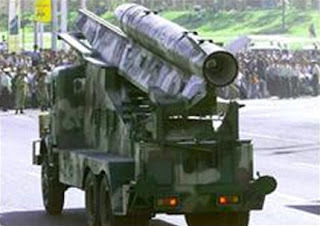 2,00 km range. 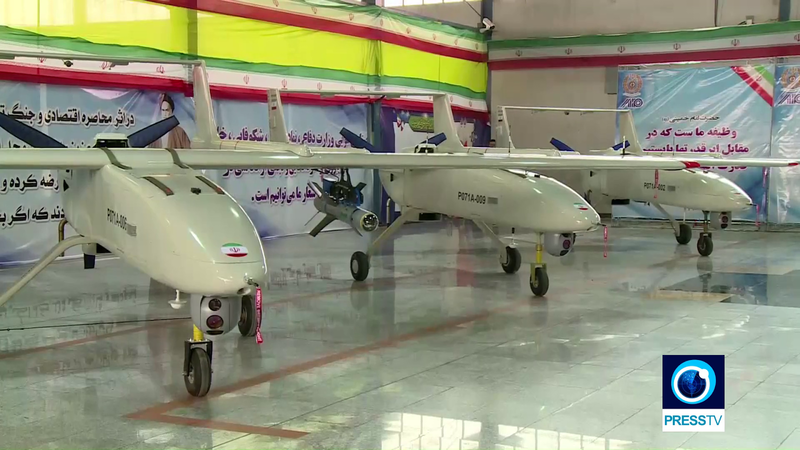 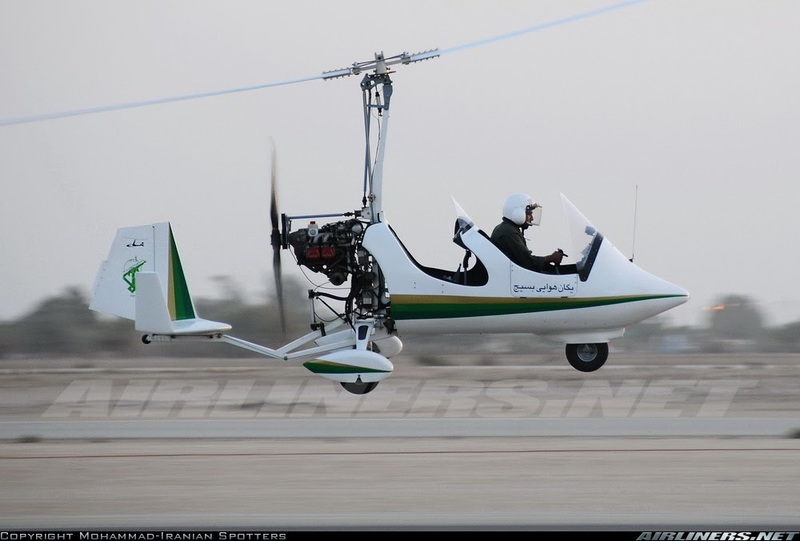 Hamaseh unmanned aerial vehicles. 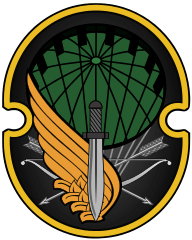 Used for reconnaissance and combat. Yasir unmanned aerial vehicle. 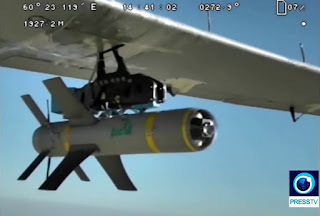 Based on the U.S. ScanEagle? 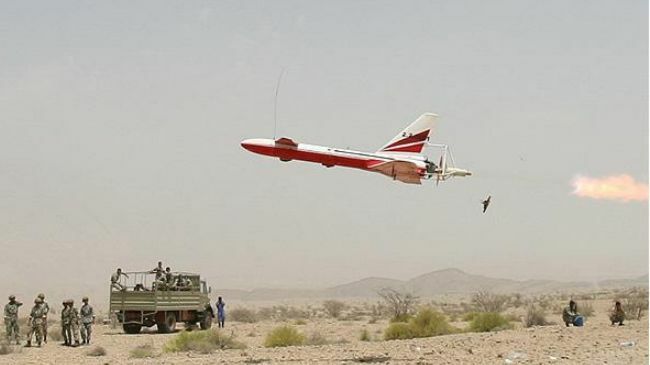 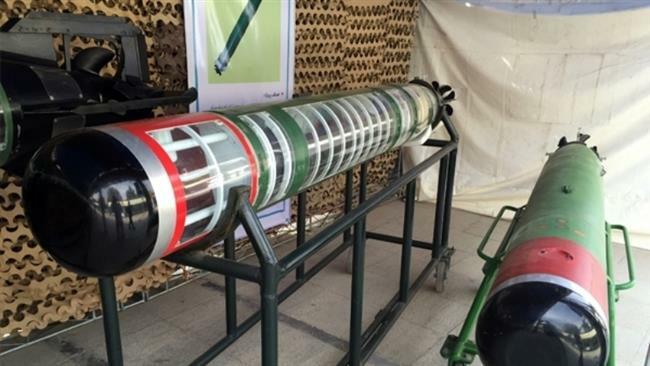 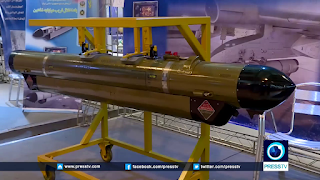 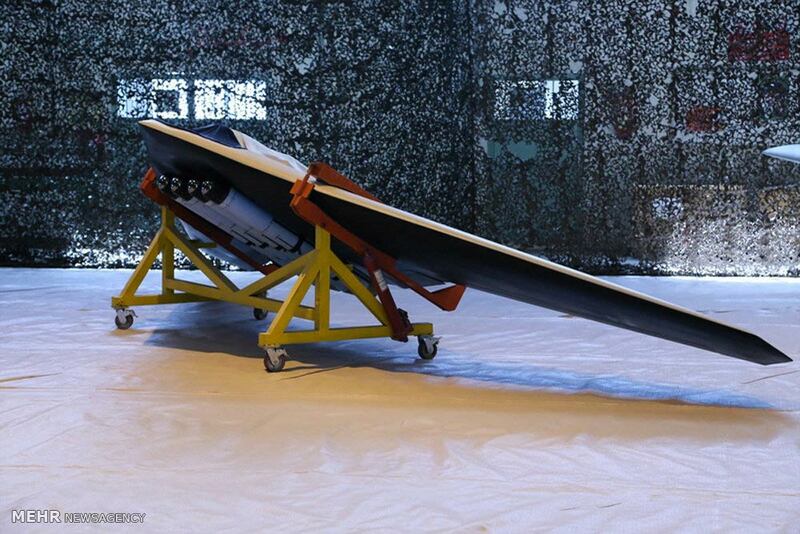 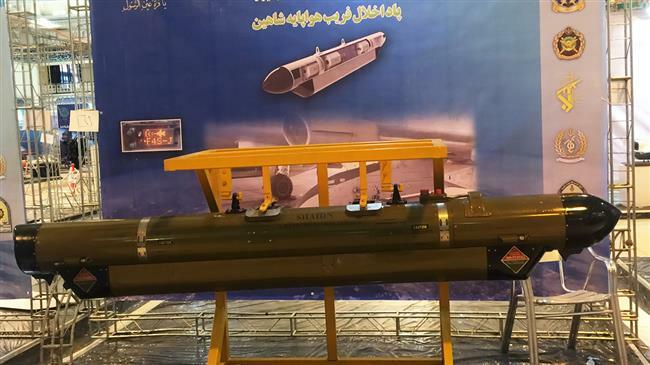 Unknown Name- Iranian made unmanned aerial vehicle/loitering munition. Raad? 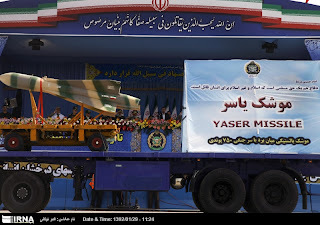 Yasir? Rad 85 unmanned aerial vehicles being developed by the Army. 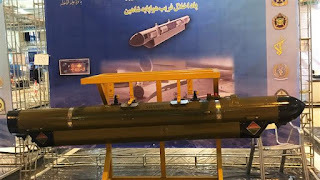 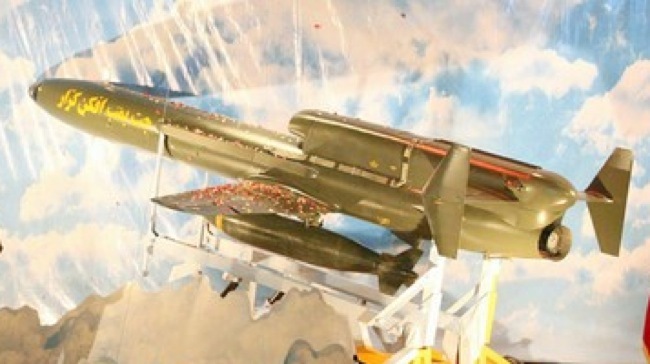 Sadid light weight guided missiles capable of being fired from a drone. 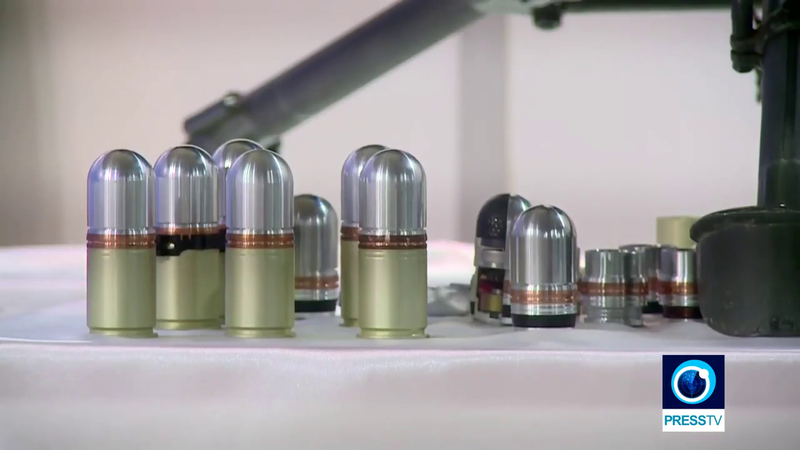 Qaem light precision guided missiles capable of being fired from a drone. 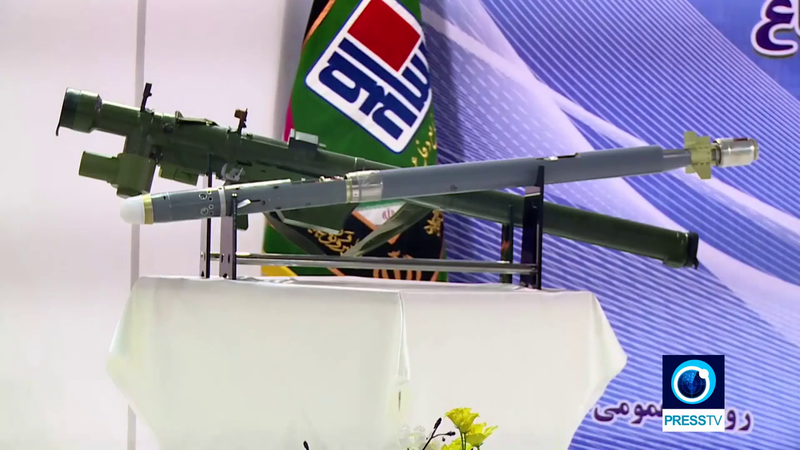 Akhgar light missiles capable of being fired from a drone. 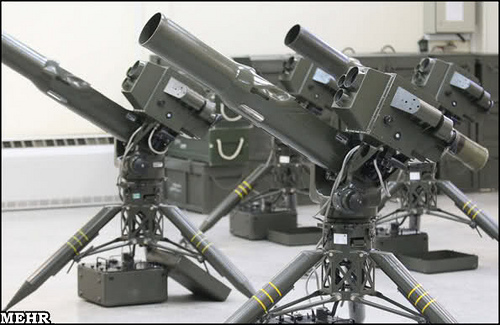 Bina ("Insightful") laser guided missiles. Can be fired from aircraft or surface vessels. 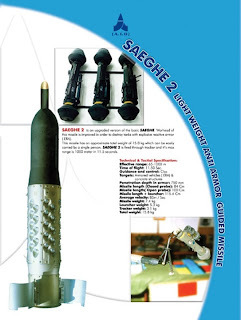 Sagheb rocket assisted M117 bomb? 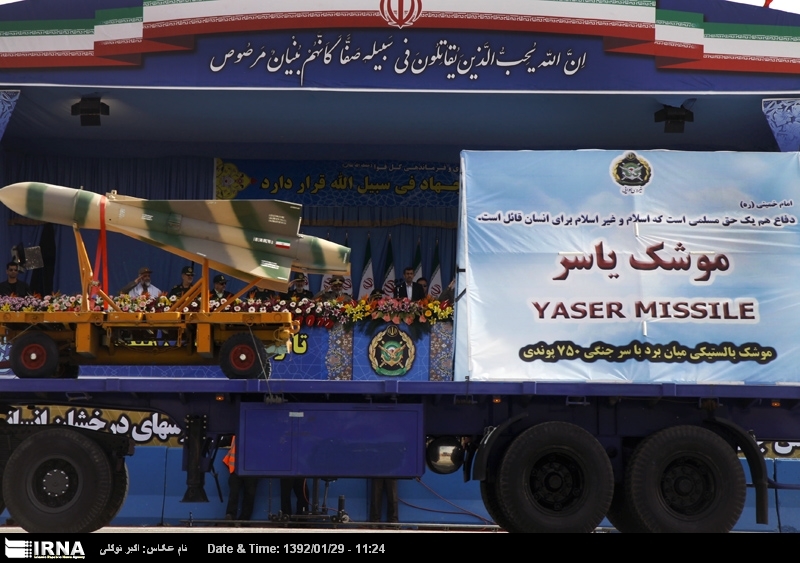 Yaser rocket assisted M117 bomb? Sayyad-2 surface-to-air missiles. 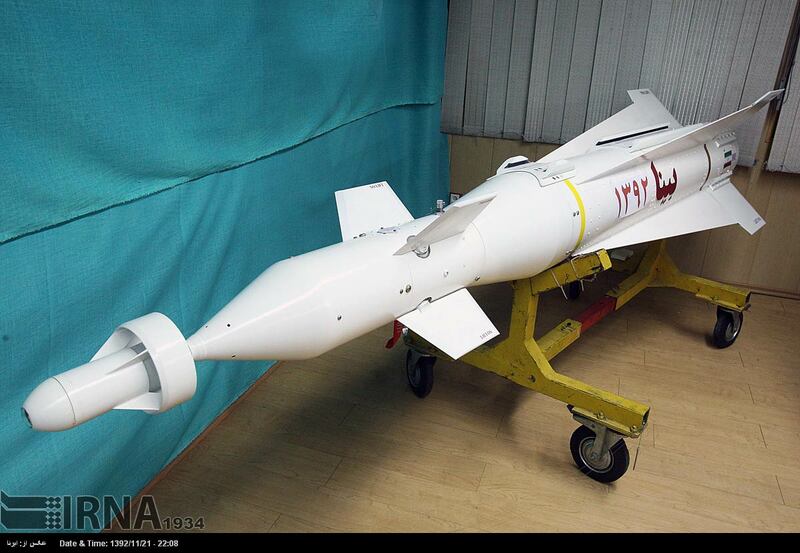 Improved version of the Sayyad-1. 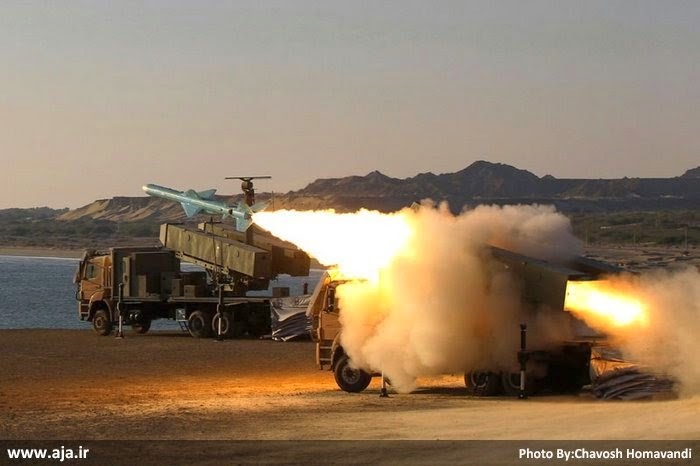 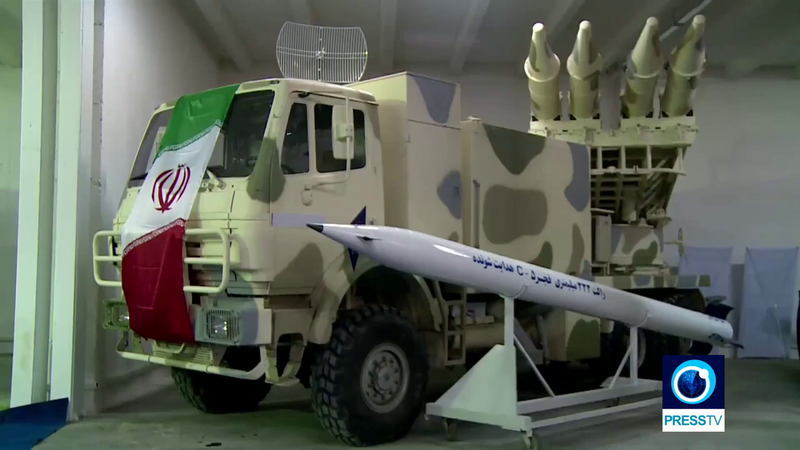 Sayyad 3 surface-to-air missiles being tested as of 2016. 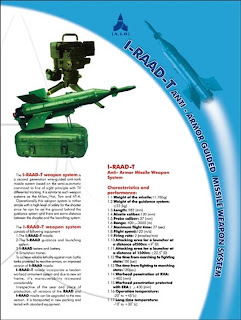 Talaash-3 surface-to-air missiles. 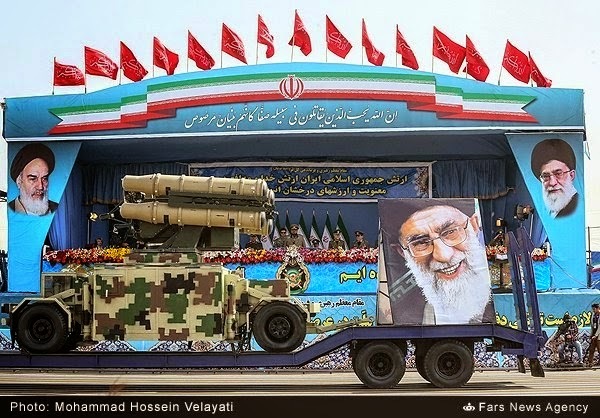 Connected to the S-200 air defense system? 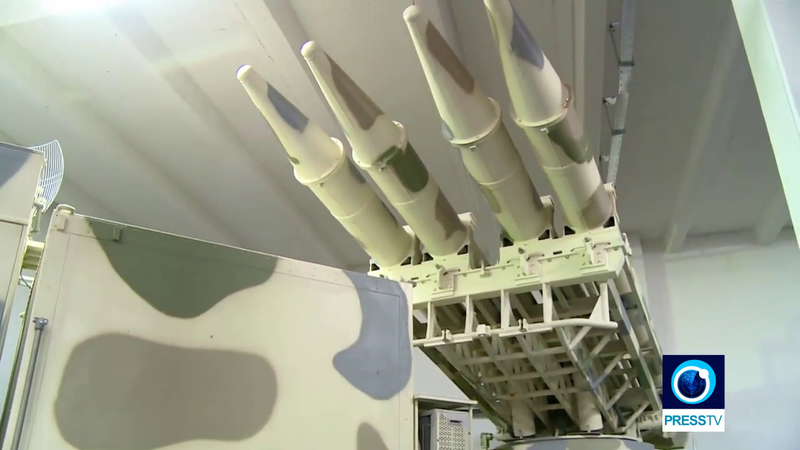 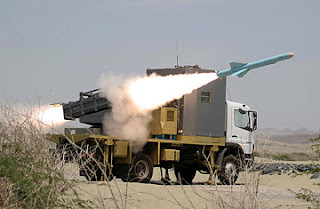 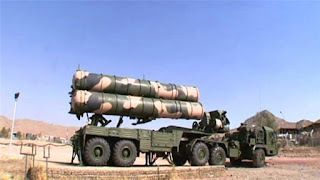 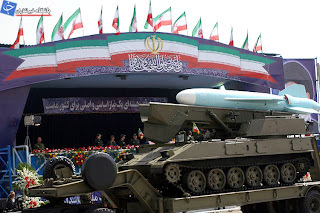 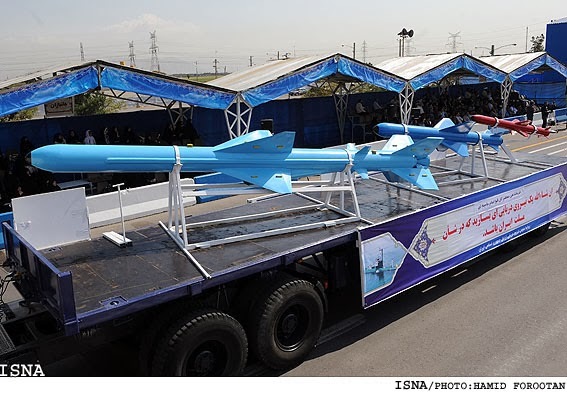 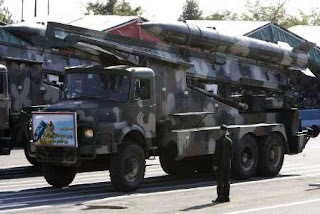 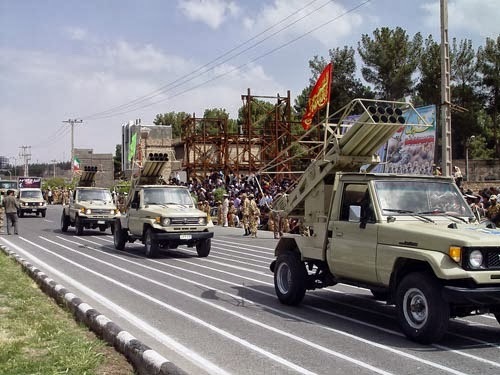 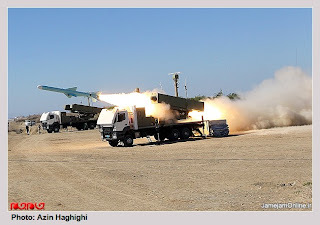 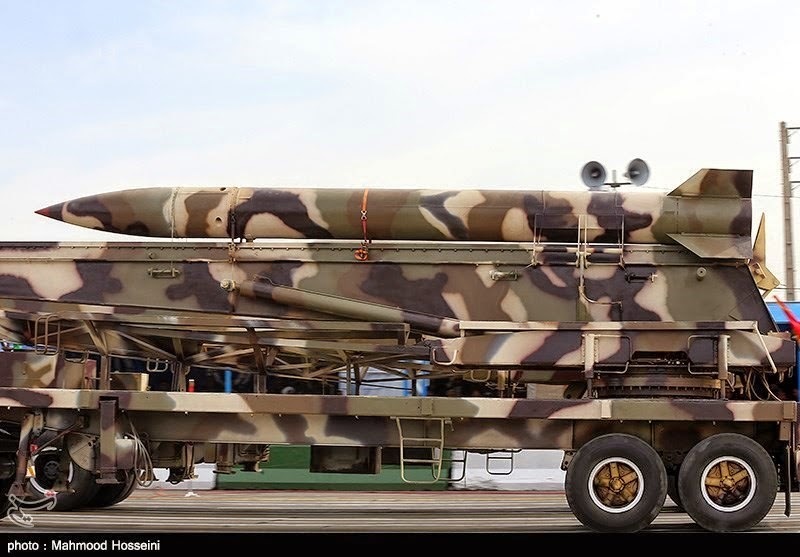 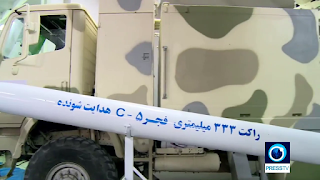 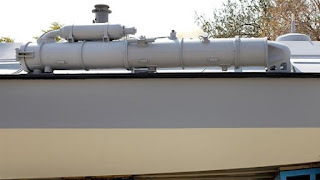 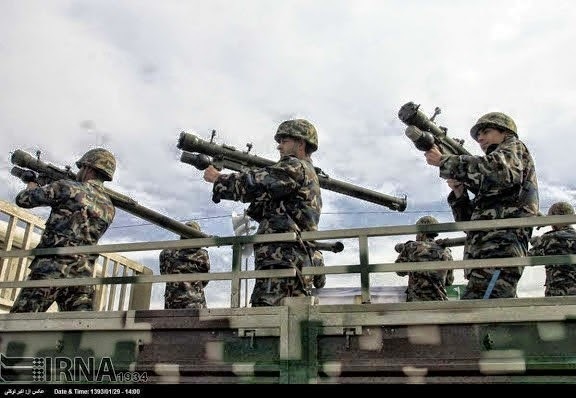 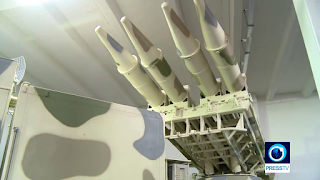 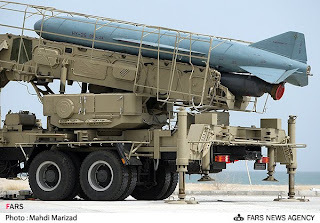 SM-1 surface-to-air missiles or Iranian made copies of the SM-1 ship borne surface-to-air missile system. 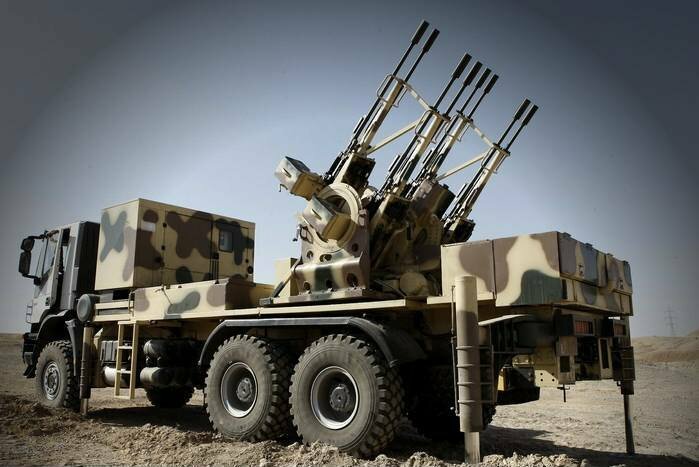 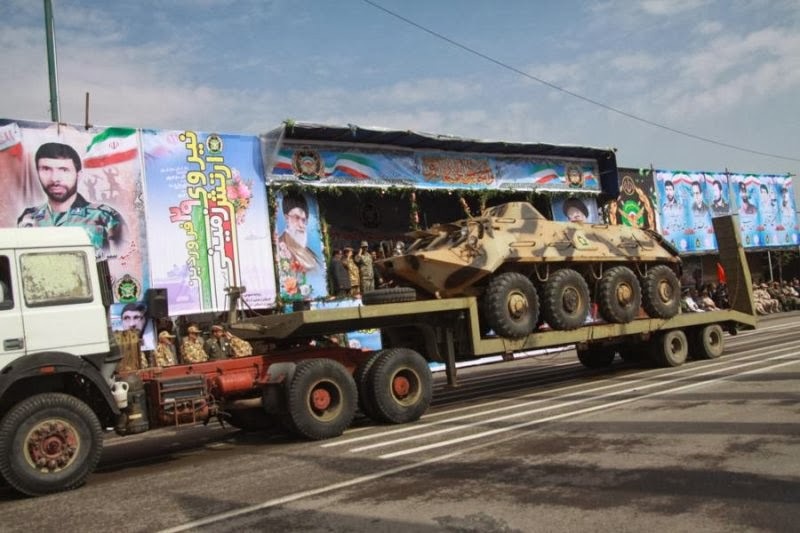 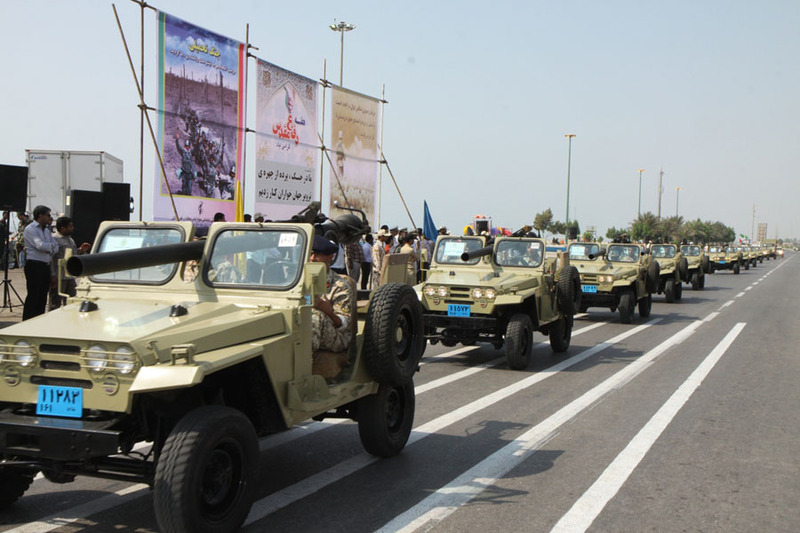 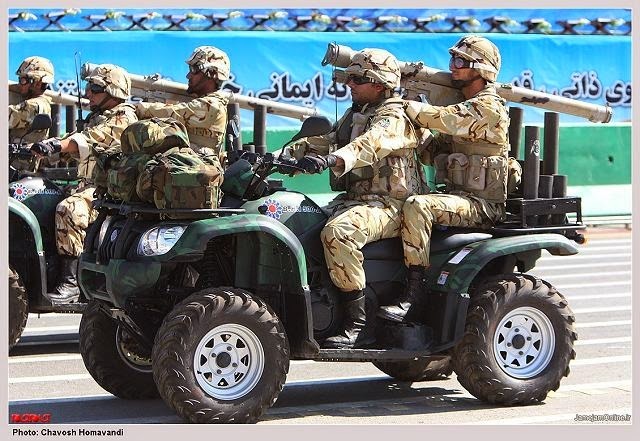 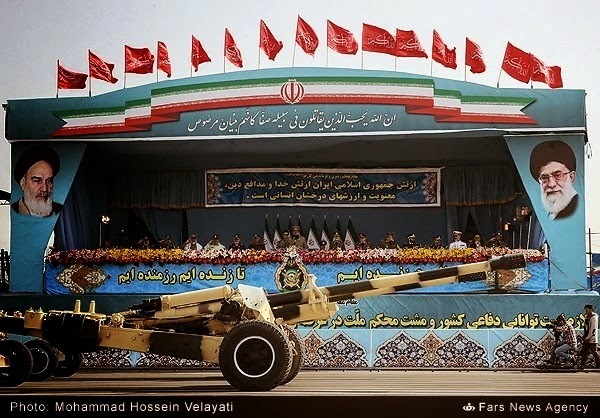 Mesbah 1 towed 23mm close in weapon system made by Iran.Essentially four 4 ZU-23 anti-aircraft guns configured together. Eight barrels total. 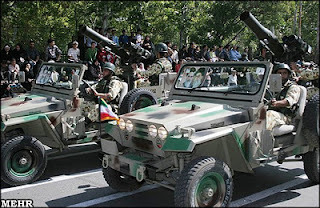 ZPU-4 towed 14.5mm anti-aircraft guns. 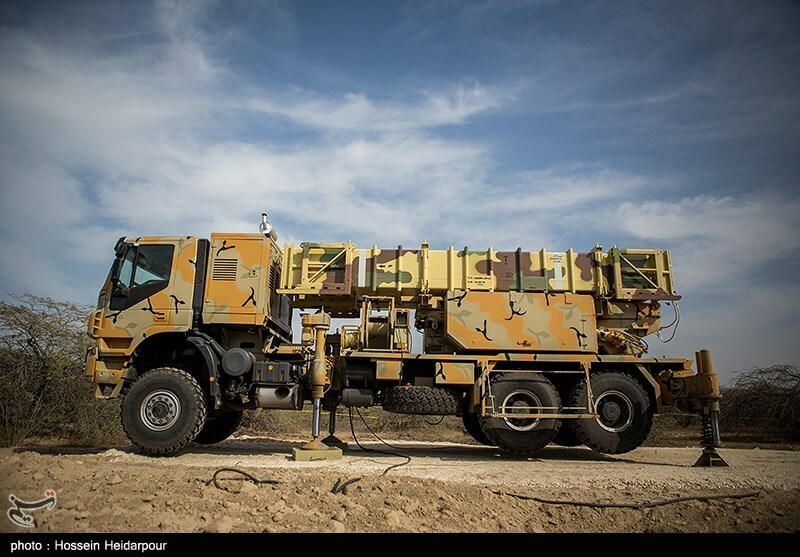 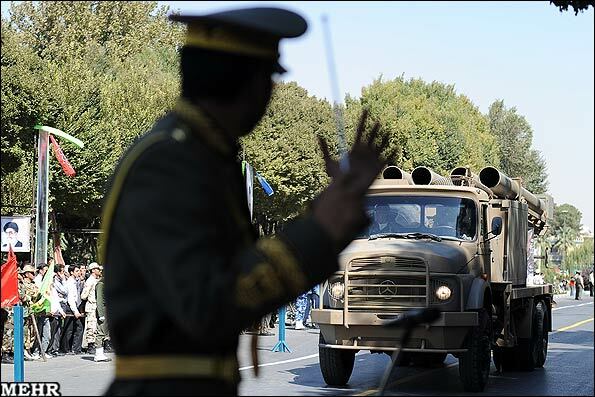 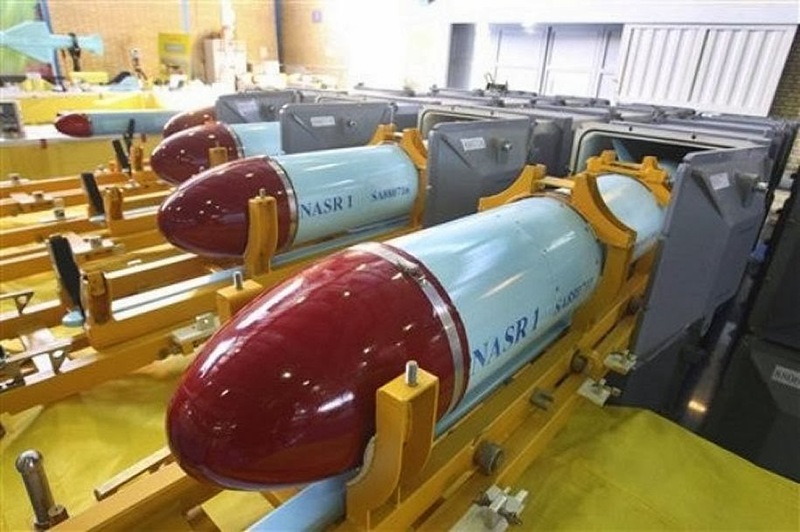 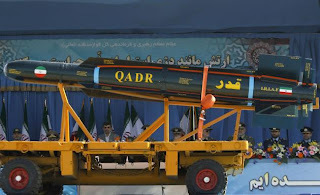 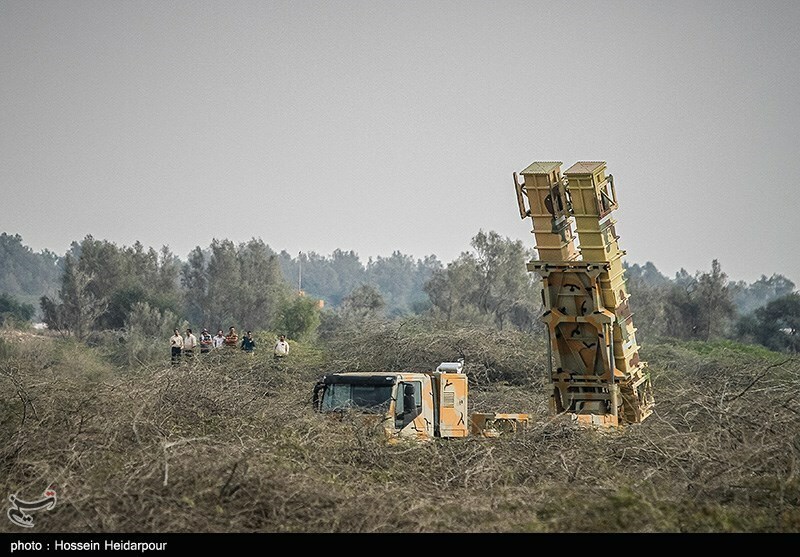 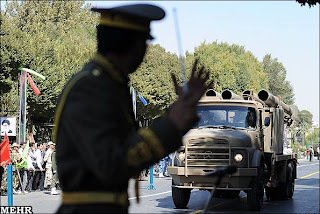 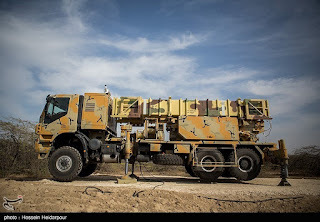 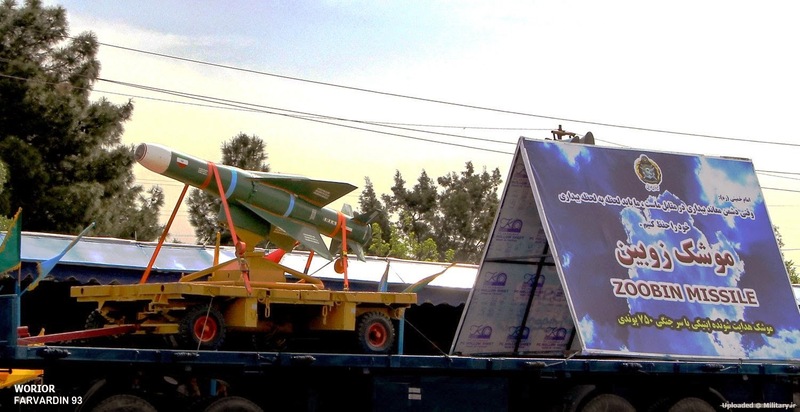 Iranian made Qamar radars. 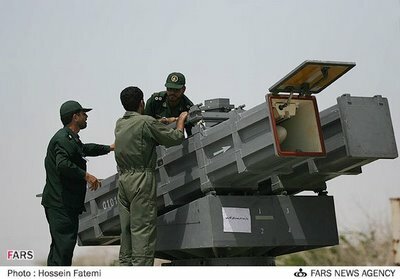 Search and control, 3 dimensional radar. 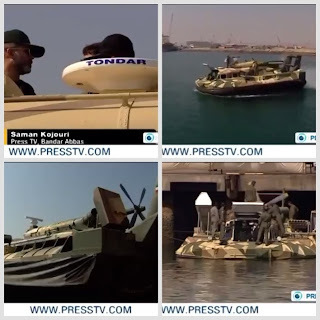 Supposedly has the ability to shut down the strategic Straits of Hormuz. 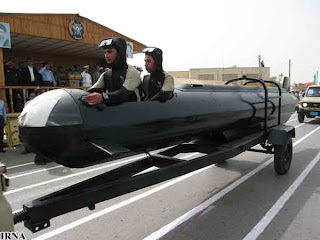 Besat (Qaem or Ghaaem) Class submarine. 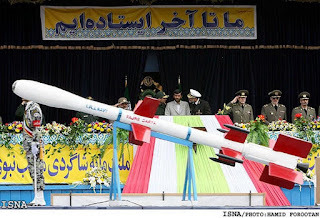 Iranian made. 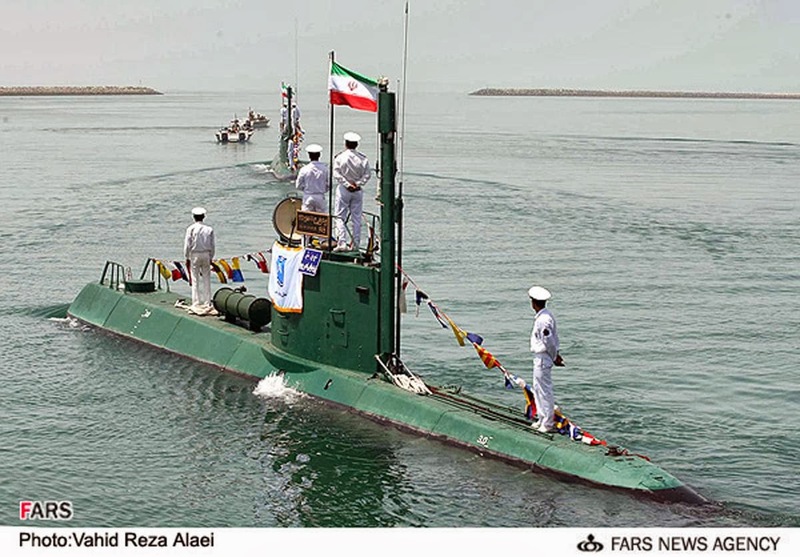 Fateh Class submarine. 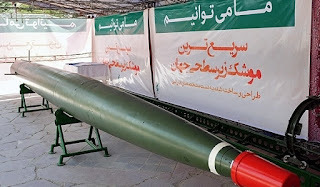 Iranian made. Nahang Class midget submarine. 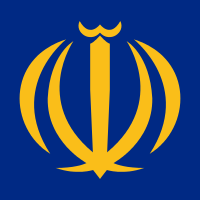 Iranian made. 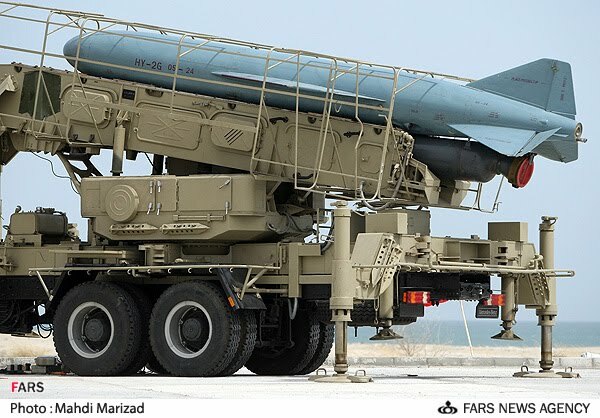 Kowsar anti-ship missiles (based on the Chinese C701 and TL-10?). 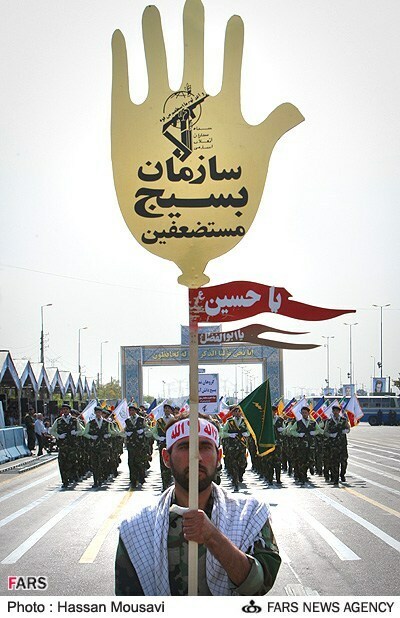 The Kowsar is named after a river in paradise mentioned in the Quran. 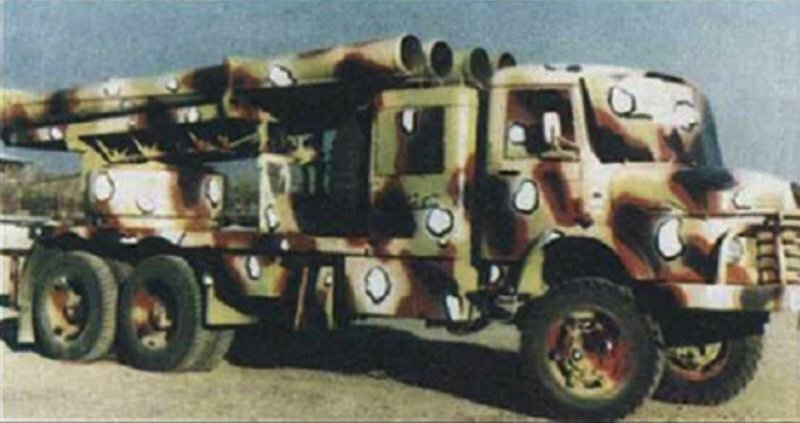 Fateh Mobin (or Fateh e Mobin) short range ballistic missiles. 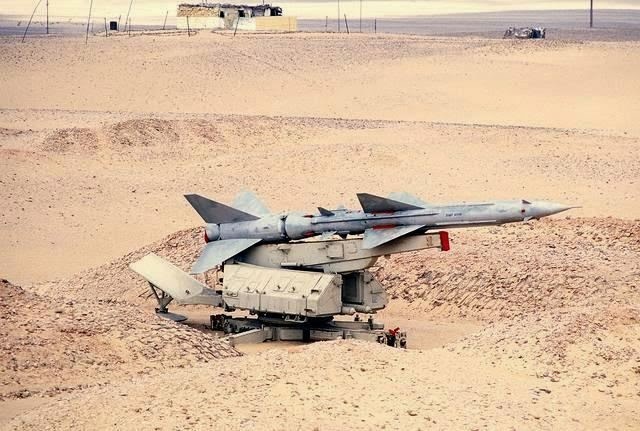 Can hit ground or naval targets. Around 160 Italian made Sea Killer Mk 2 light weight anti-ship missiles? Still in service? 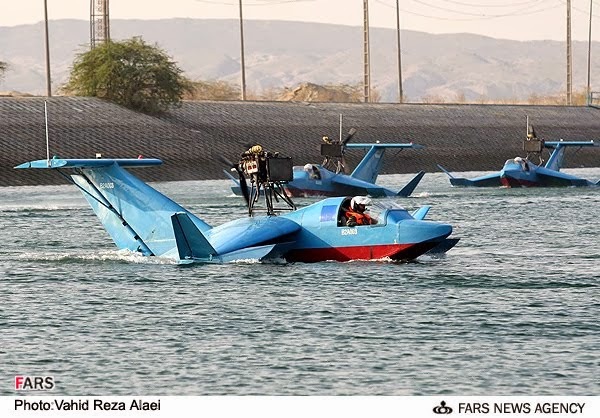 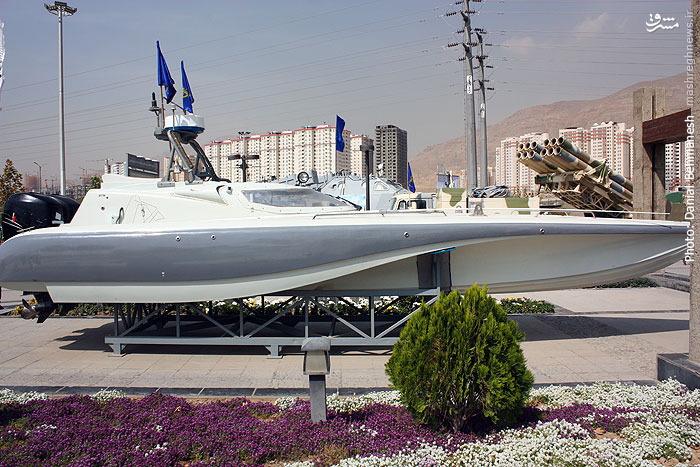 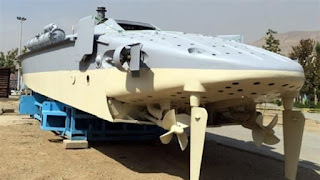 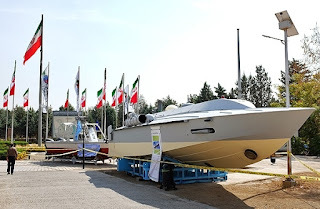 Fajre Darya (Sea Dawn)- Iranian made light anti-ship missiles based upon the Sea Killer. 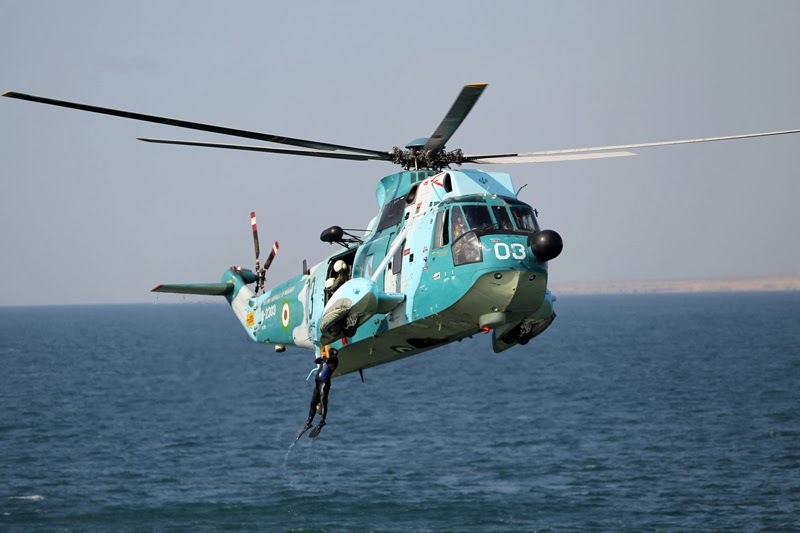 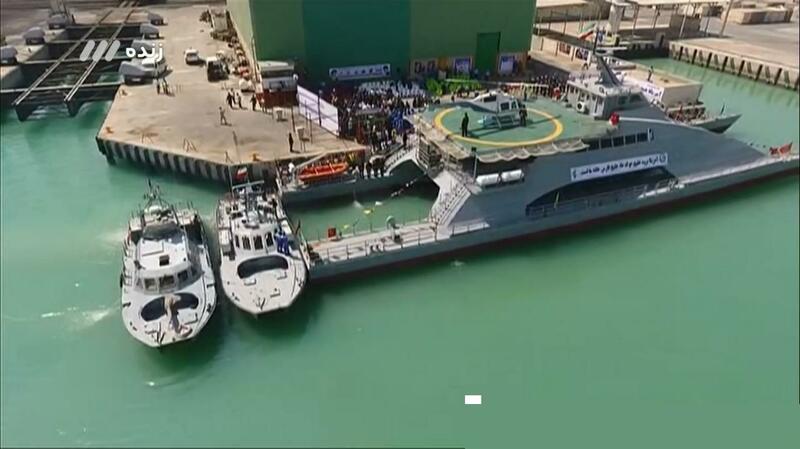 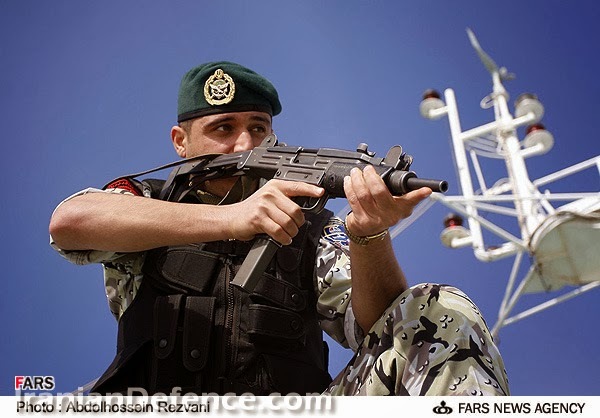 Kamand (Lasso) Close in Weapon System to be equipped on certain naval vessels. 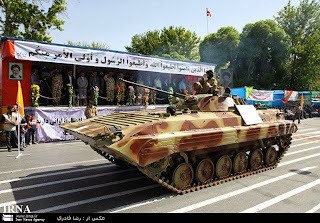 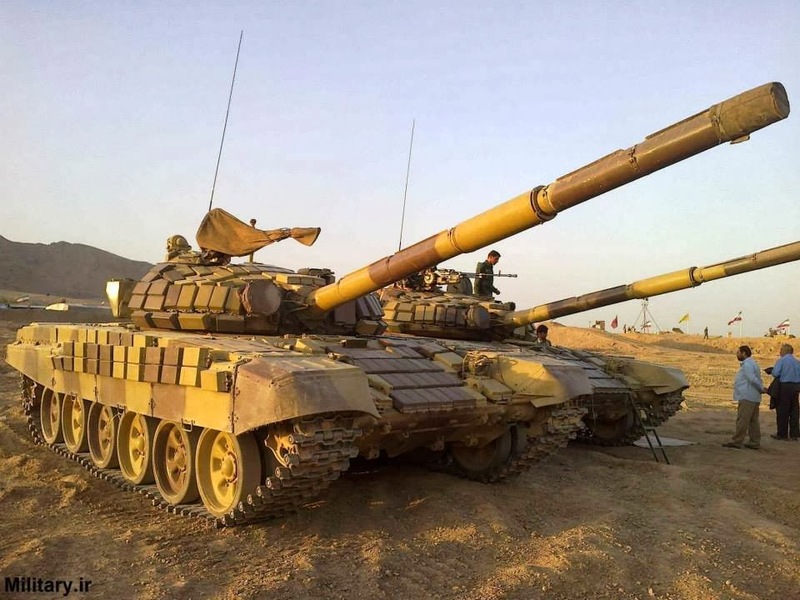 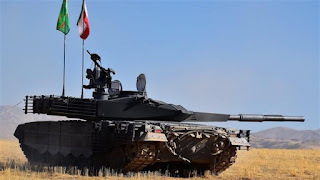 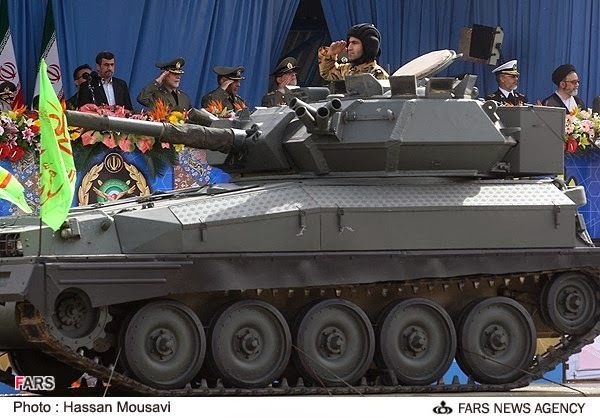 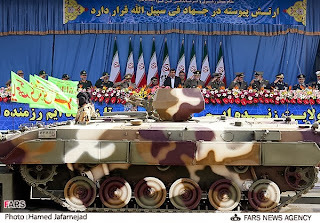 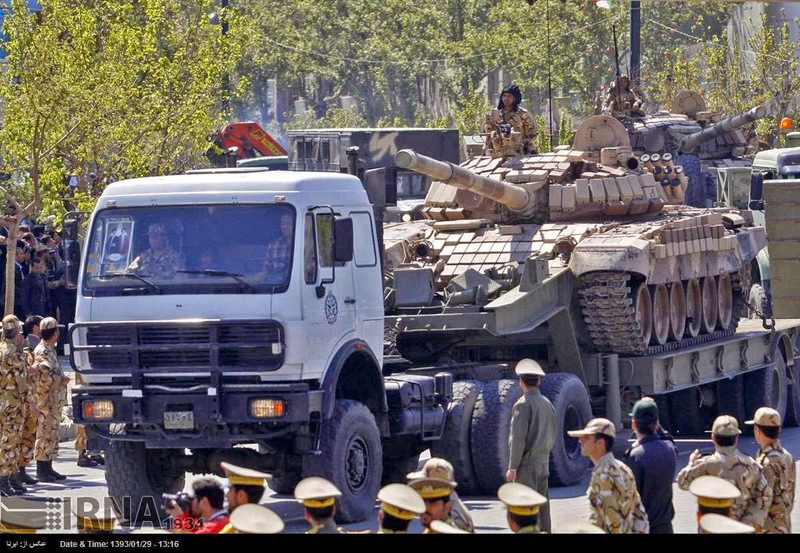 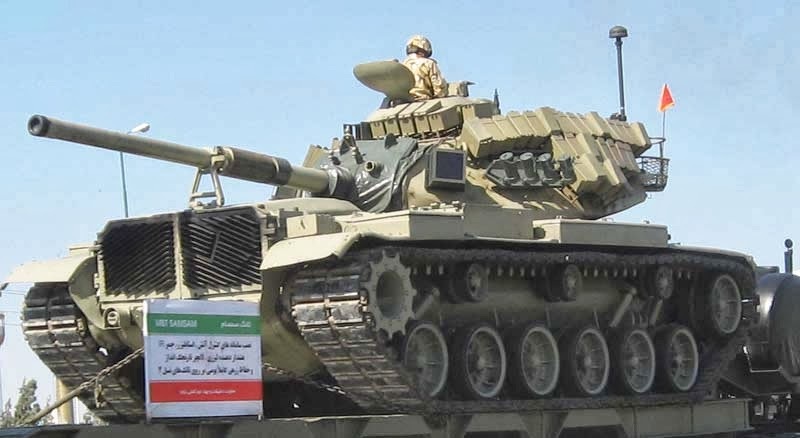 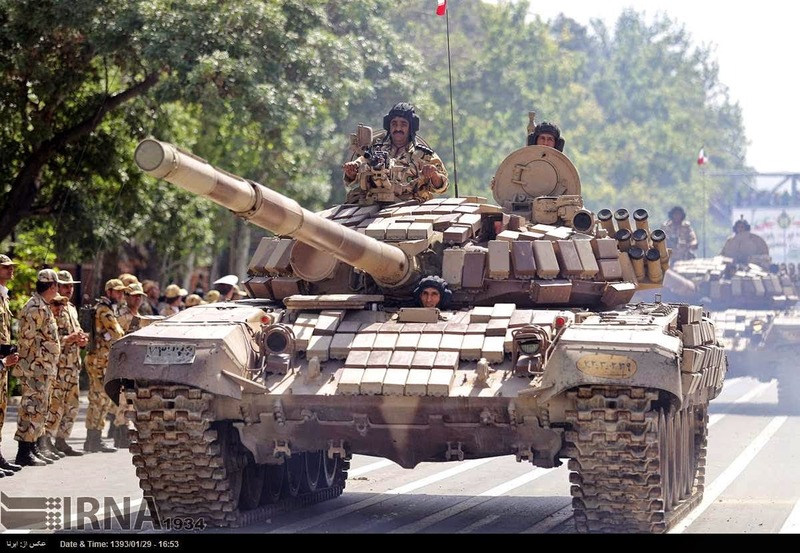 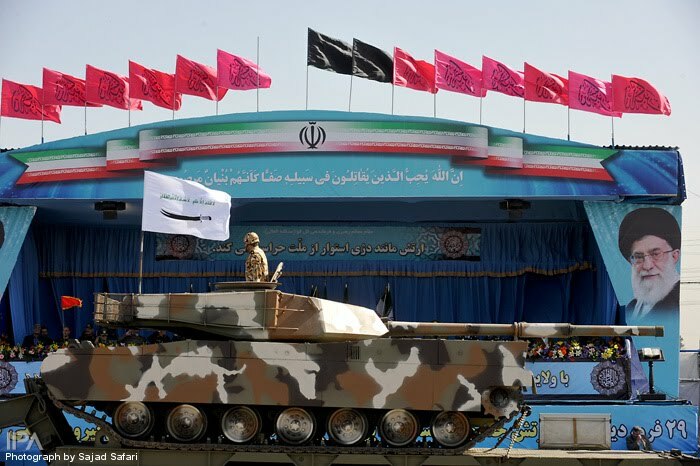 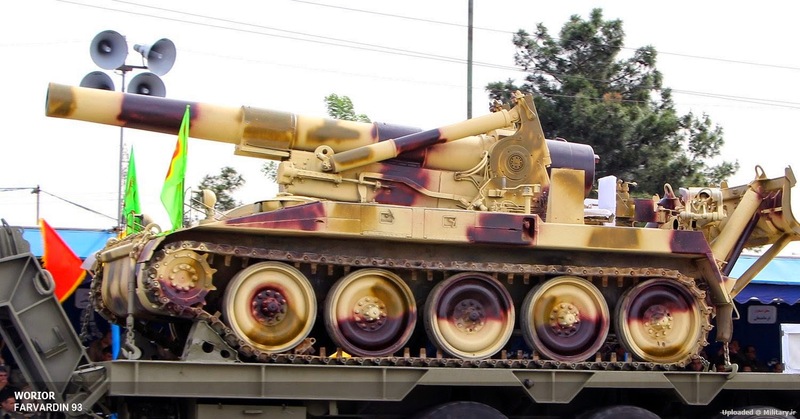 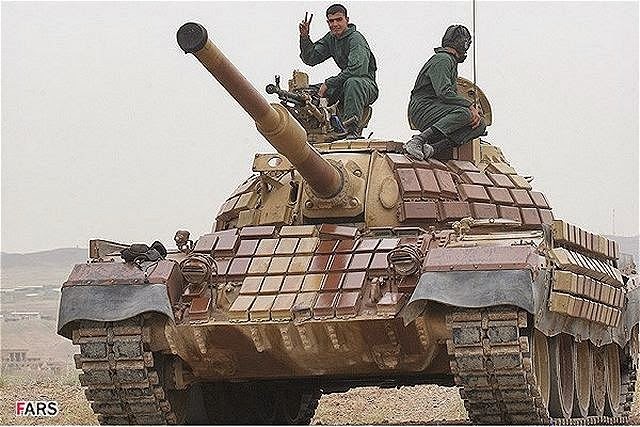 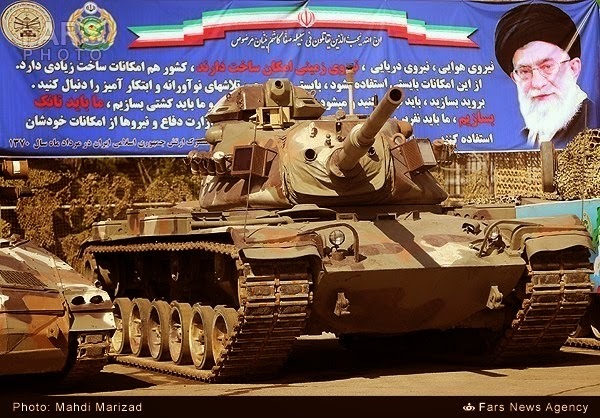 Karrar- Iranian made tanks similar in appearance to the T-90. 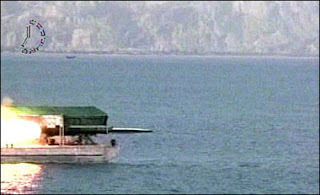 Armed with a 125mm main gun and 12.7mm secondary gun. 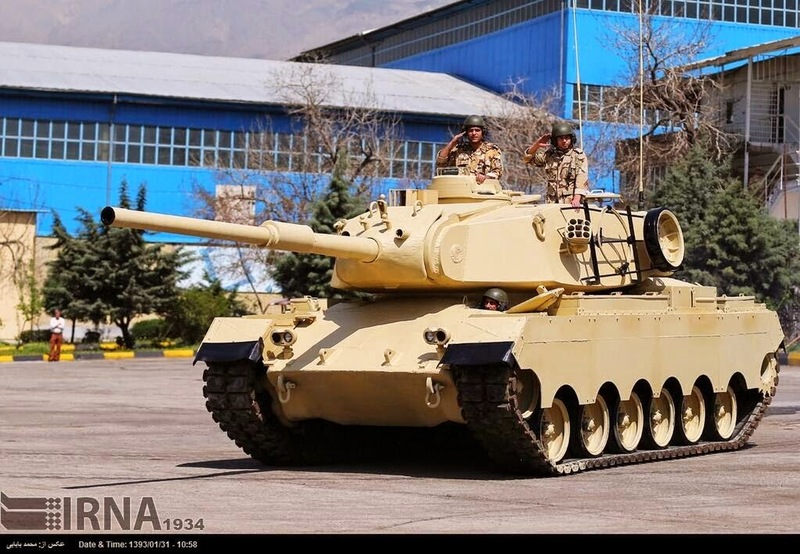 North Korean made Ch'onma-ho tanks (250)? Samsam tanks with 105mm guns. 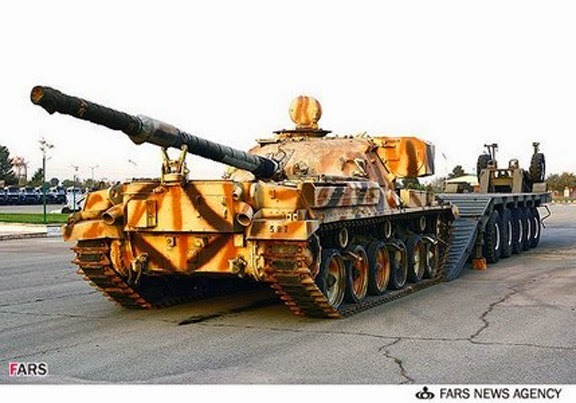 Based on the M60Al. 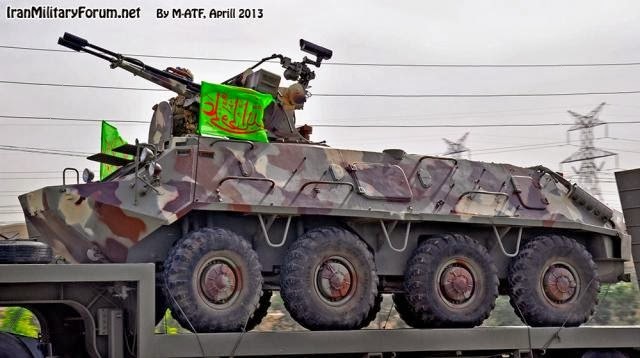 Aqareb- Modified BTR-60 with a 90mm gun. 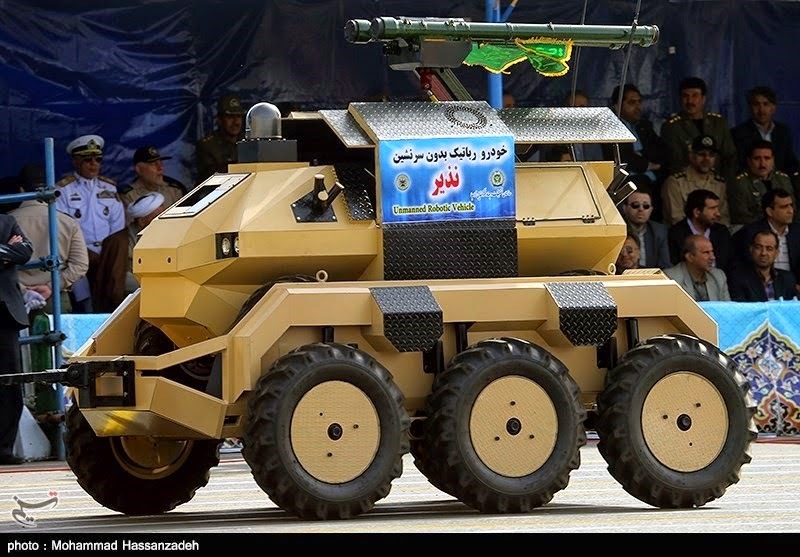 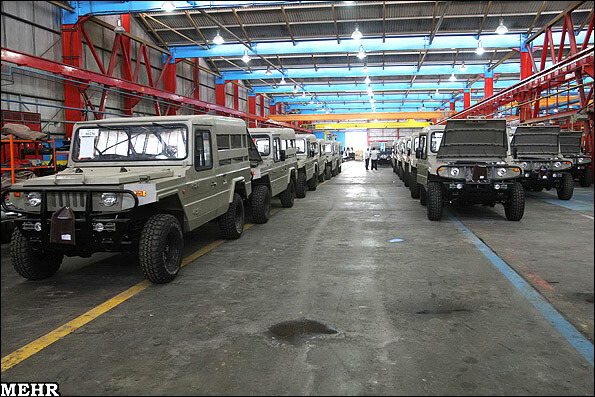 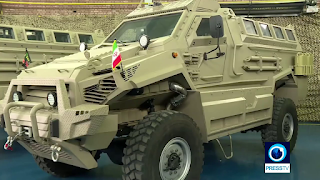 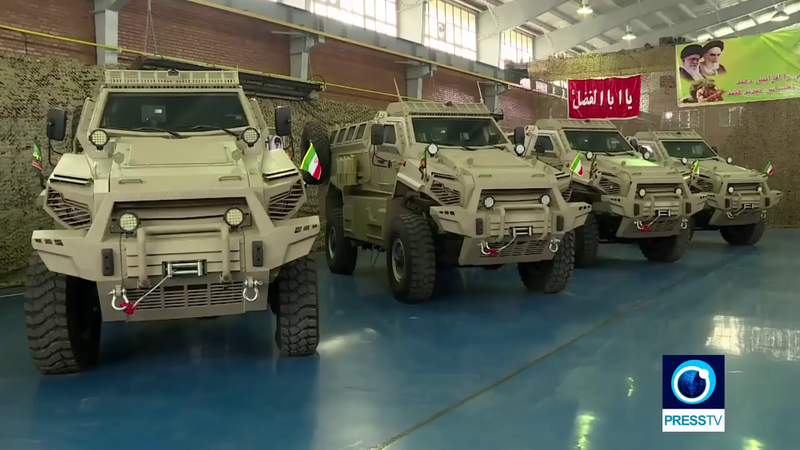 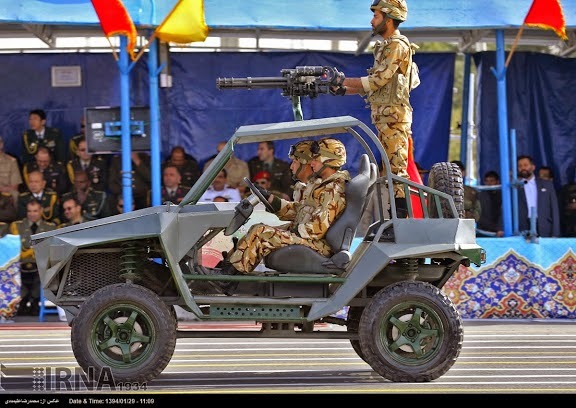 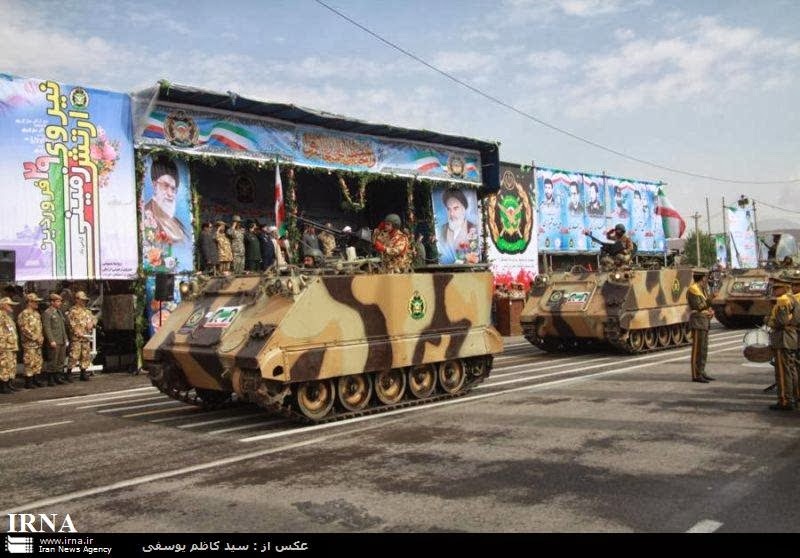 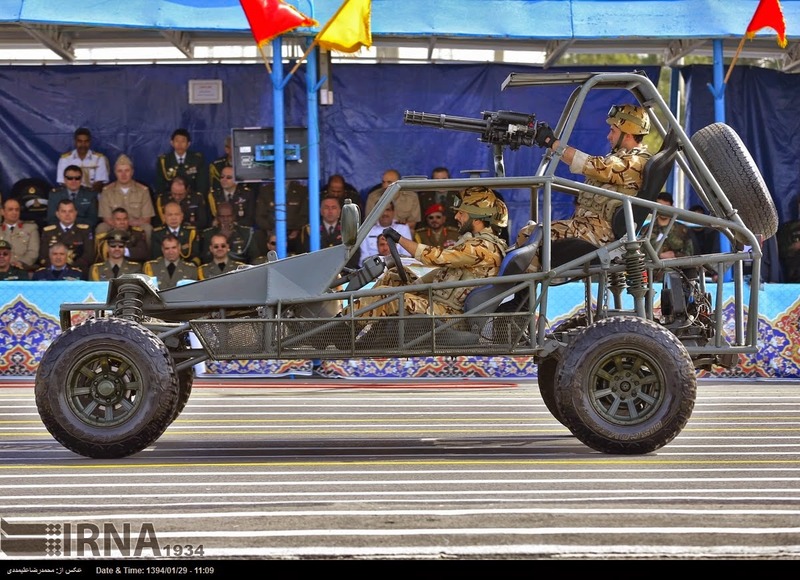 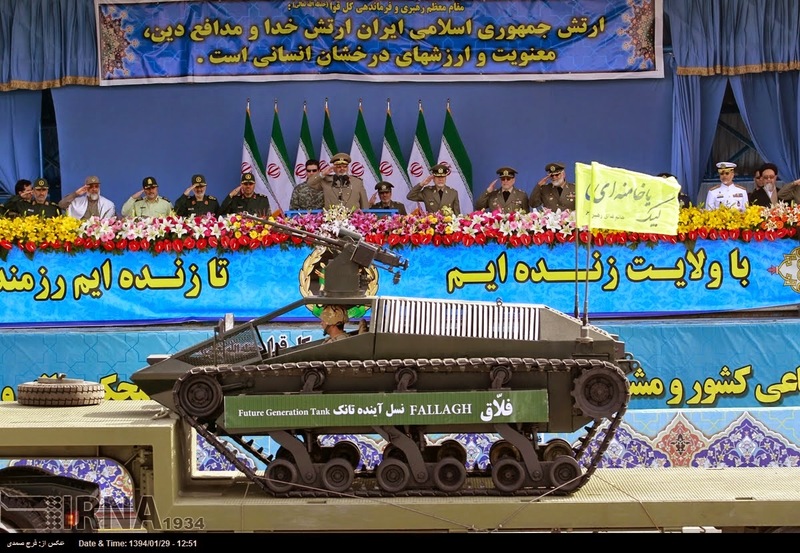 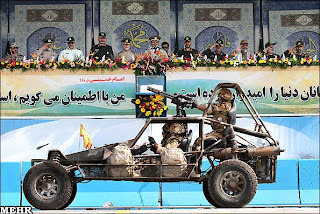 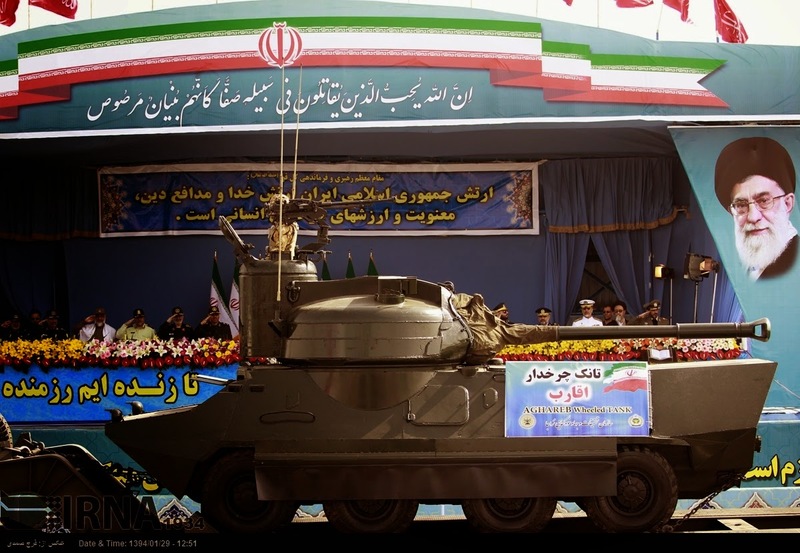 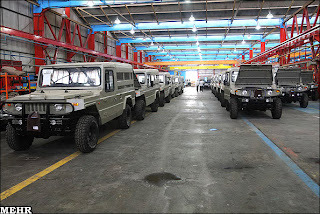 Hoveyzeh- Iranian made armored vehicles. Nazeat 10- 457mm rocket fired from a 6x6 wheeled truck. 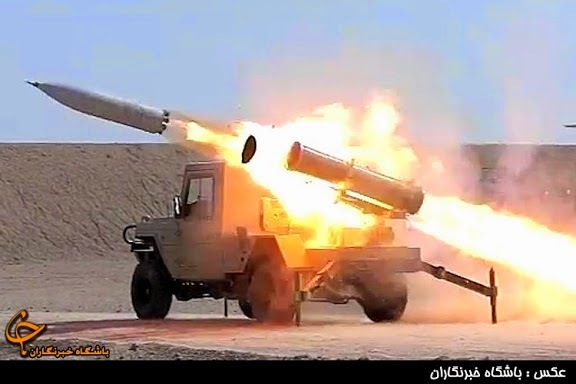 Nazeat 6H- 356mm rocket fired from a 6x6 wheeled truck. Haseb 107mm multiple rocket launchers? 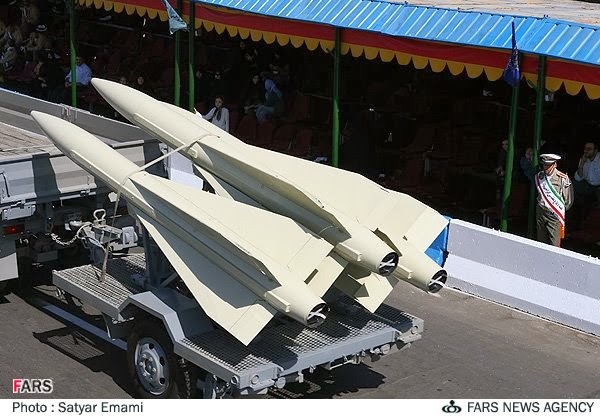 Arash series of 122mm rockets. 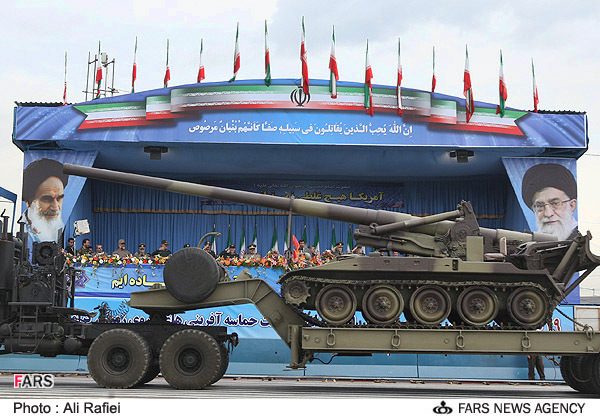 HM 40 towed 122mm howitzers. Iranian made. 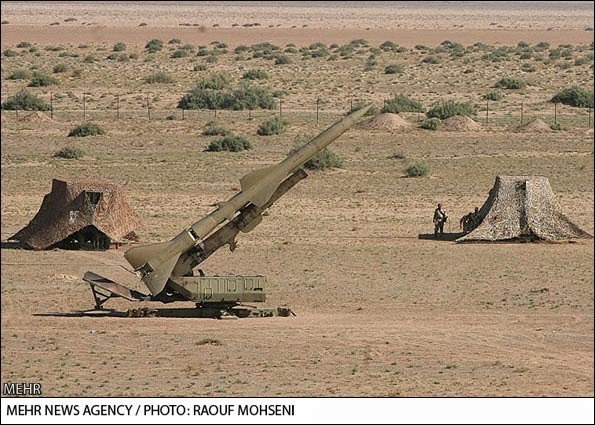 Basir- Iranian made 155mm guided laser munition. 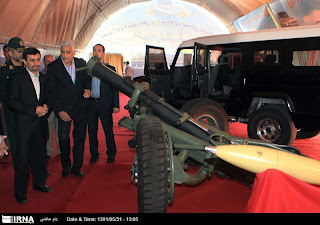 Vafa (“Loyalty”)- Iranian made 160mm mortar. 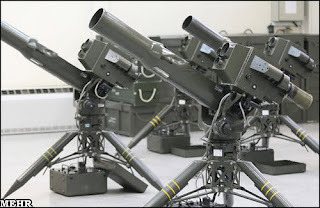 Copy of the Soltam M-66? 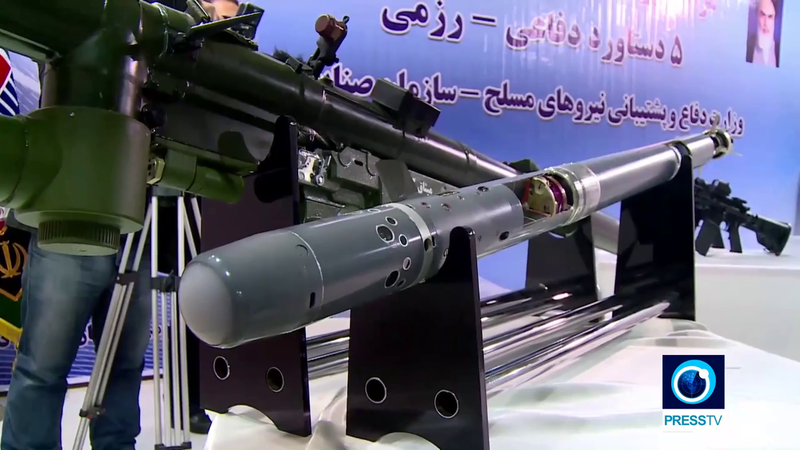 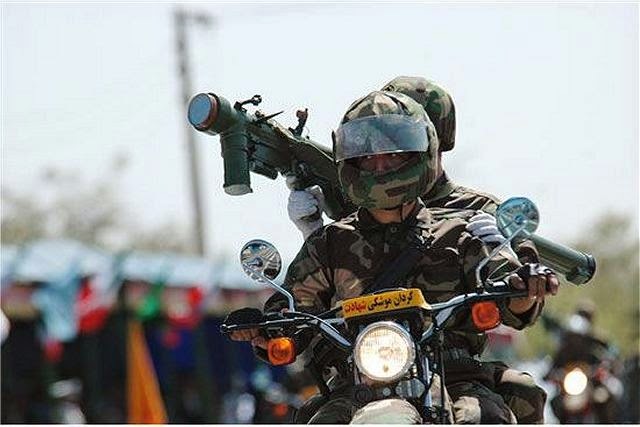 Dehlavieh- Iranian made laser guided anti-tank missile. 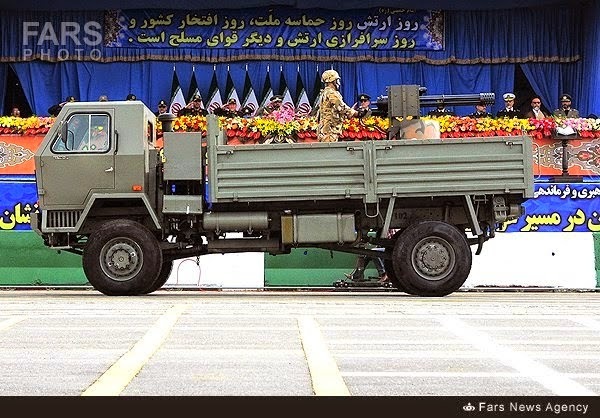 Upgraded 9M133 Kornet E (AT-14 Spriggan)? 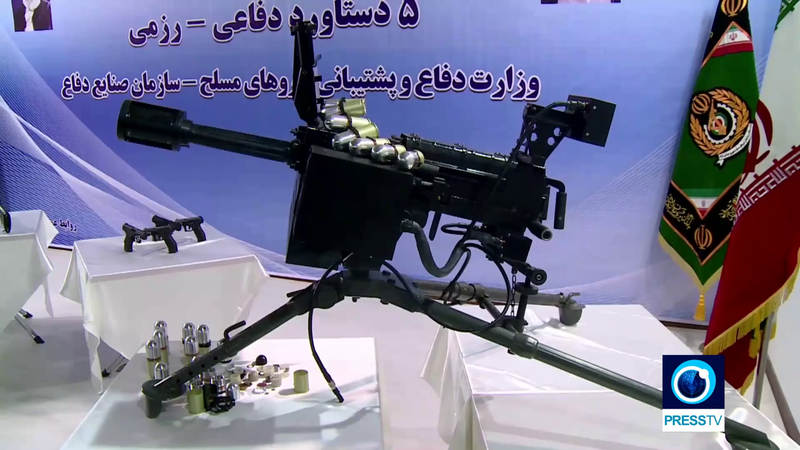 New 40mm automatic grenade launcher. 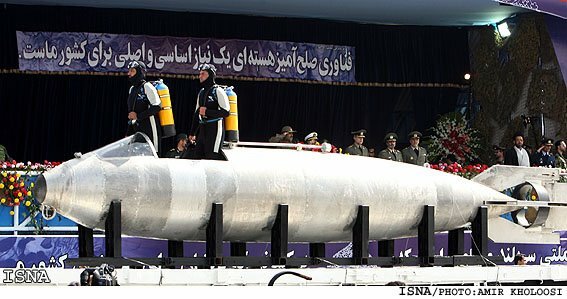 Iranian made. 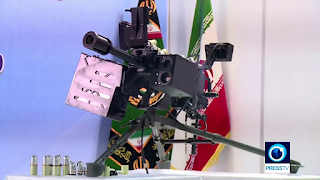 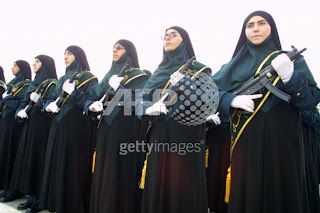 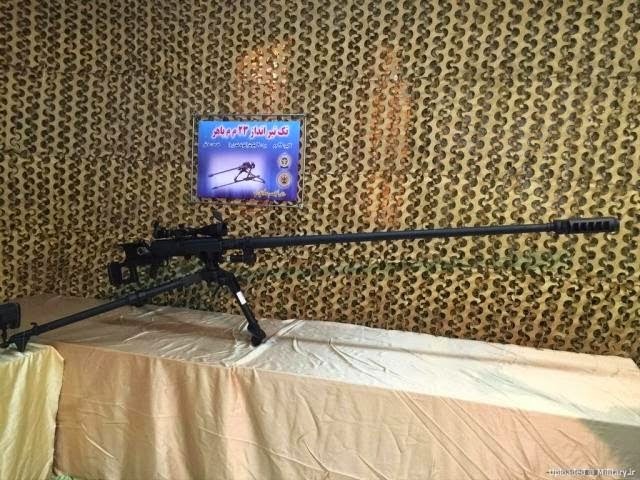 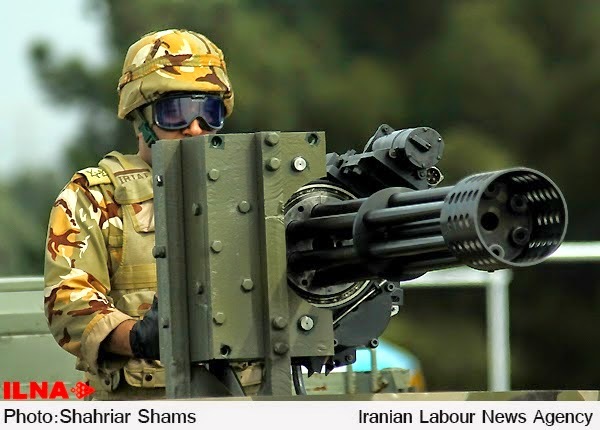 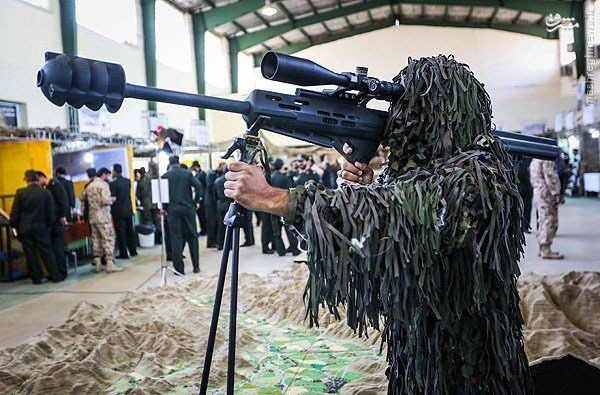 Muharram- Iranian made 12.7mm rotary guns. 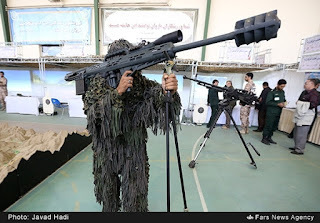 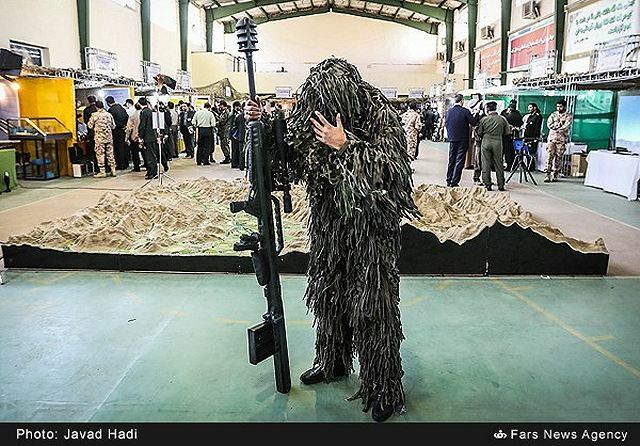 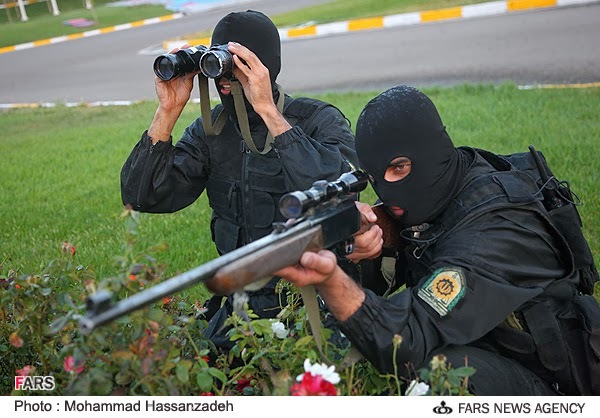 Shaher- Iranian made 14.5mm sniper/anti-material rifles. 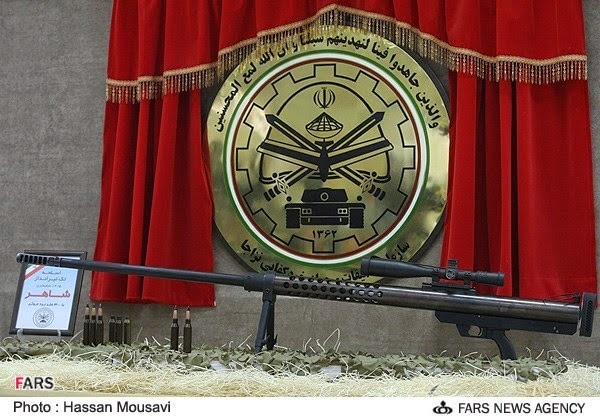 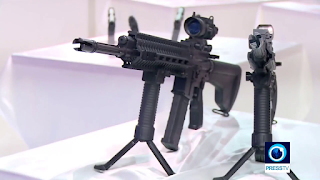 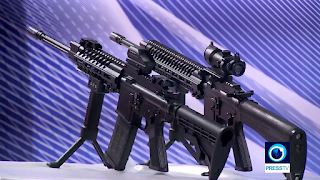 Akhgar- Iranian made 7.62mm rotary guns. 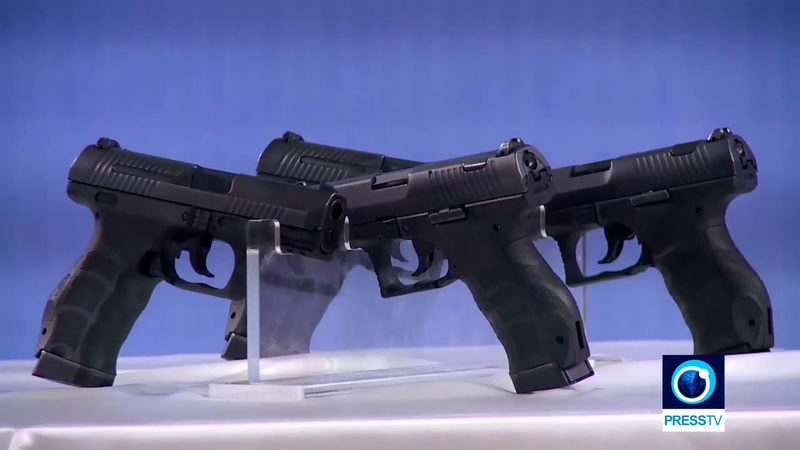 New polymer hand guns. 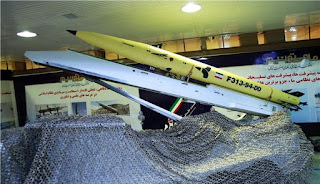 Iranian made. 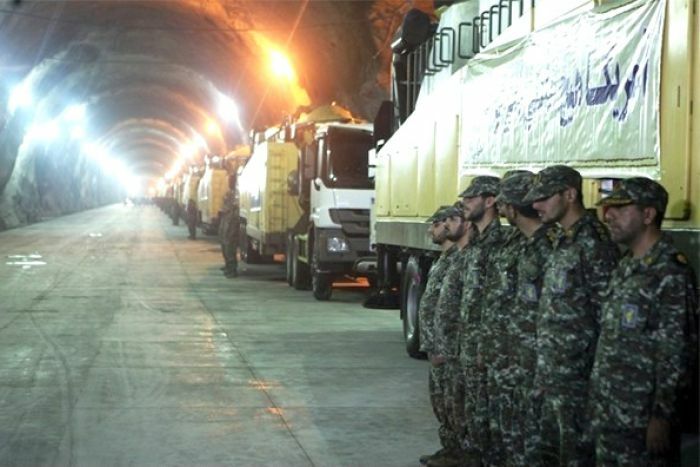 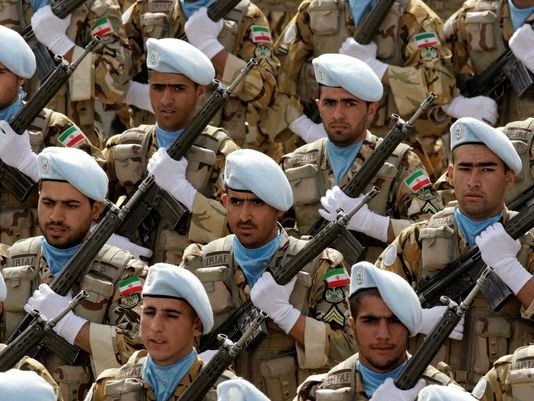 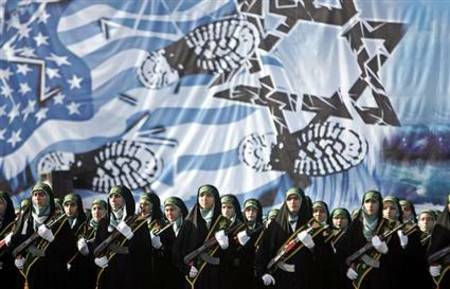 Businesses owned by the Iranian Revolutionary Guards are estimated to be worth billions. 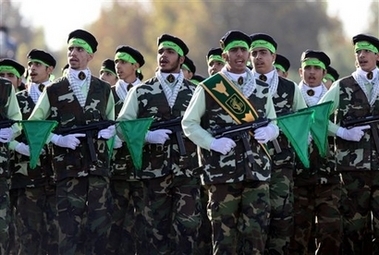 Believed to be responsible for much the training and arming of Hezbollah and HAMAS fighters. 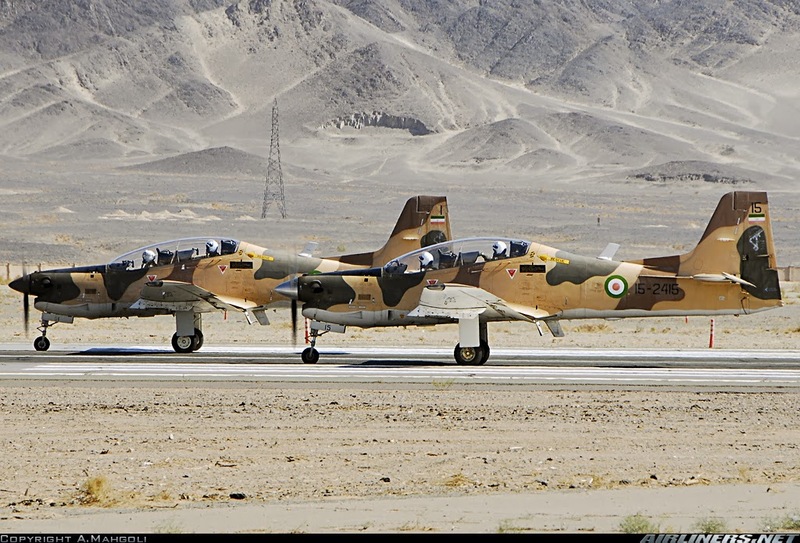 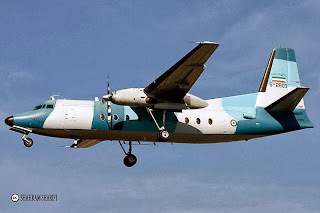 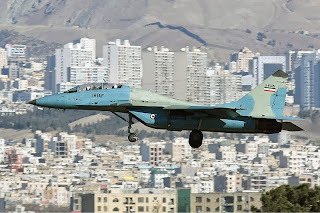 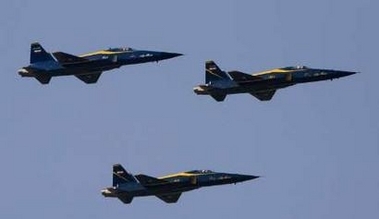 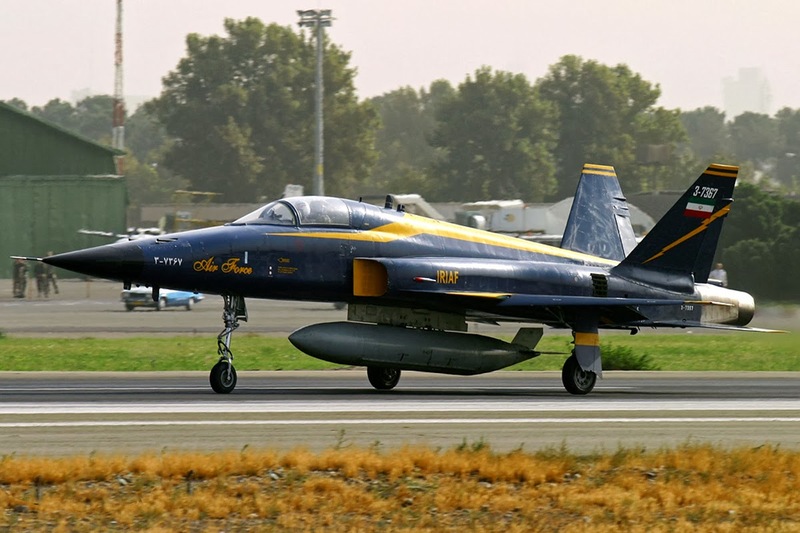 Shares facilities with the Islamic Republic of Iran Air Force. 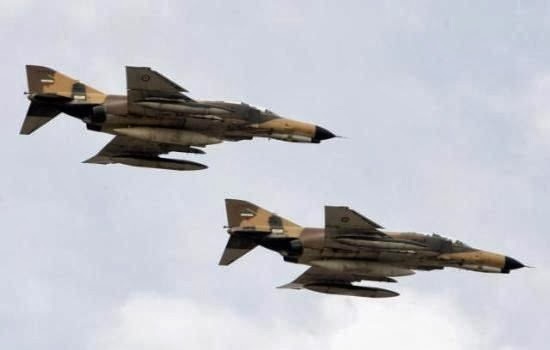 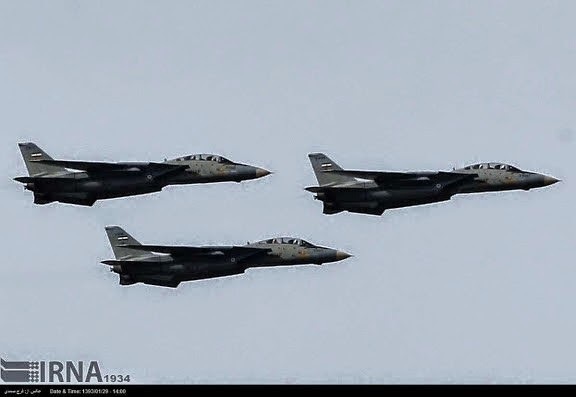 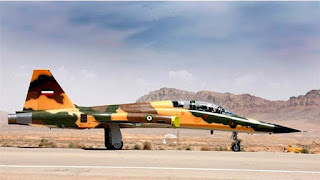 The actual numbers and aircraft operated by the Iranian Revolutionary Guards Air Force is disputed by most sources. 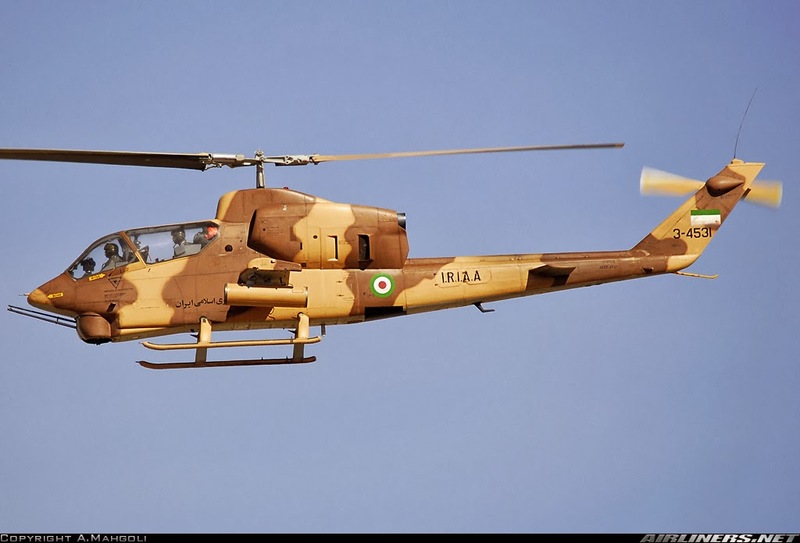 Shahed 285 attack helicopters. Iranian made. 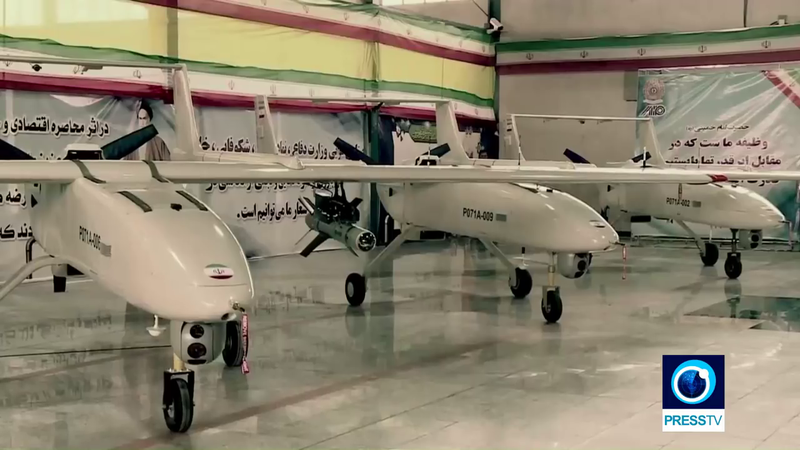 Saegheh unmanned aerial vehicles. Supposedly based on the US RQ-170 stealth drone. 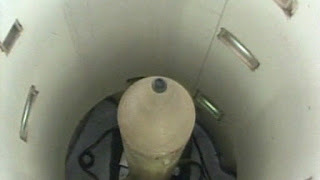 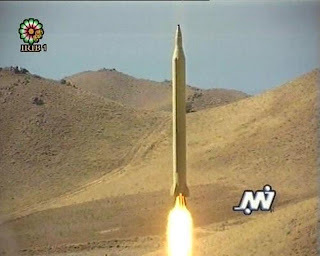 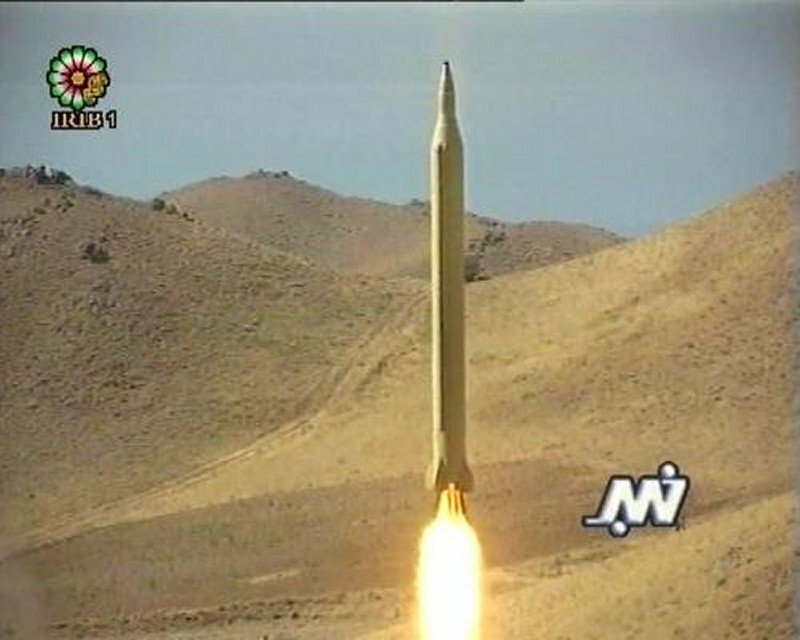 Emad (Pillar) intermediate range ballistic missile. 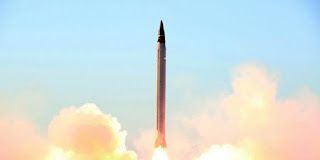 Fajr-3 (Dawn-3) ballistic missile with Multiple Independently Targeted Re-Entry Vehicles (MIRV) giving it the ability to avoid anti-ballistic missile systems. 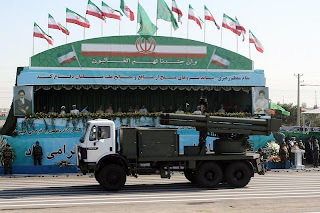 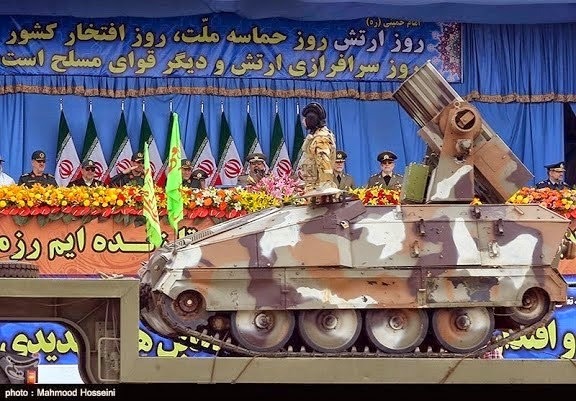 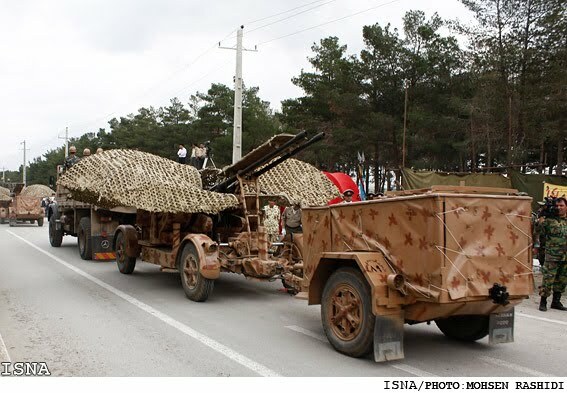 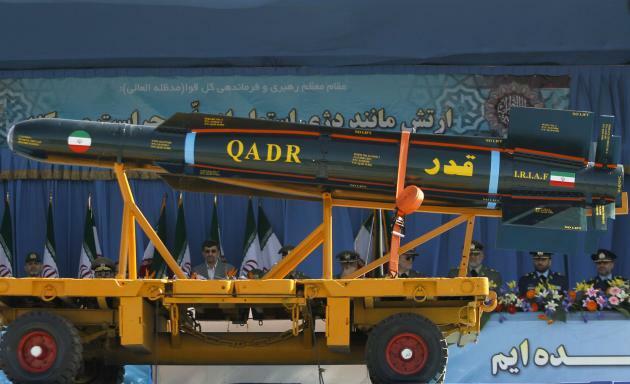 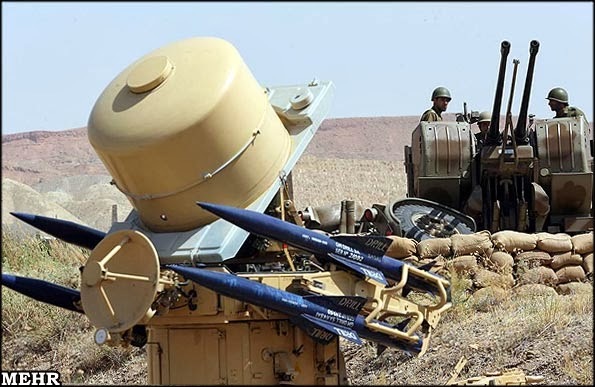 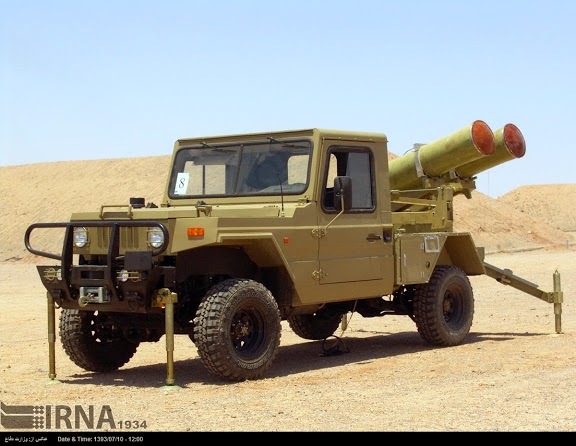 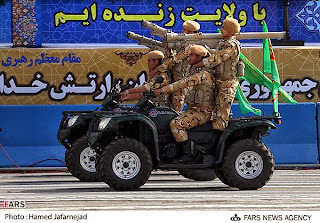 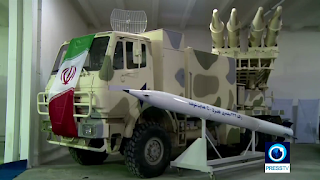 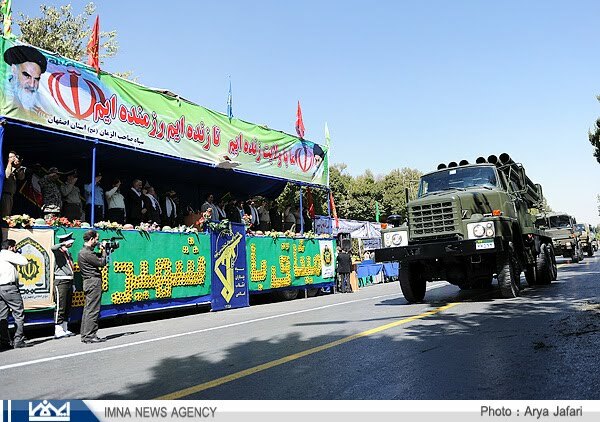 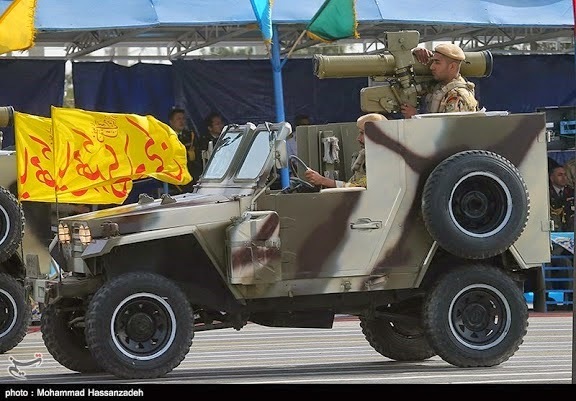 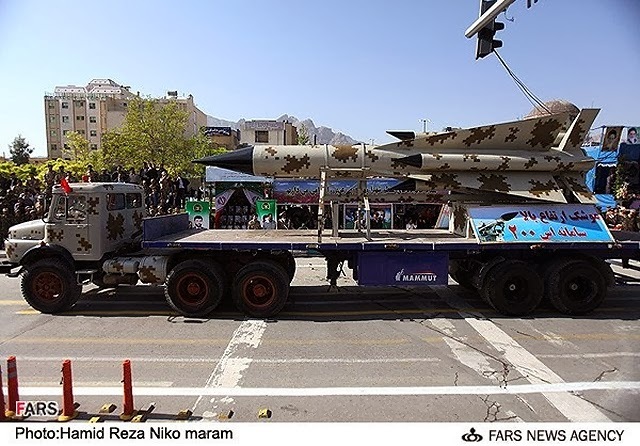 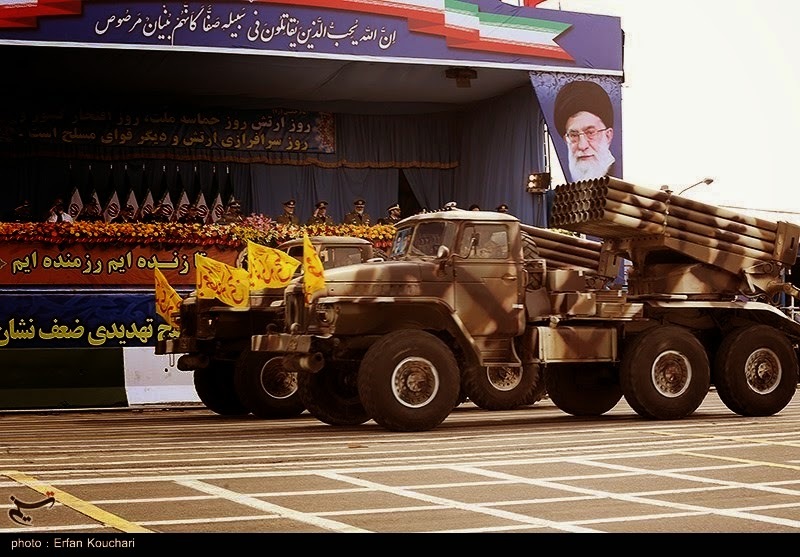 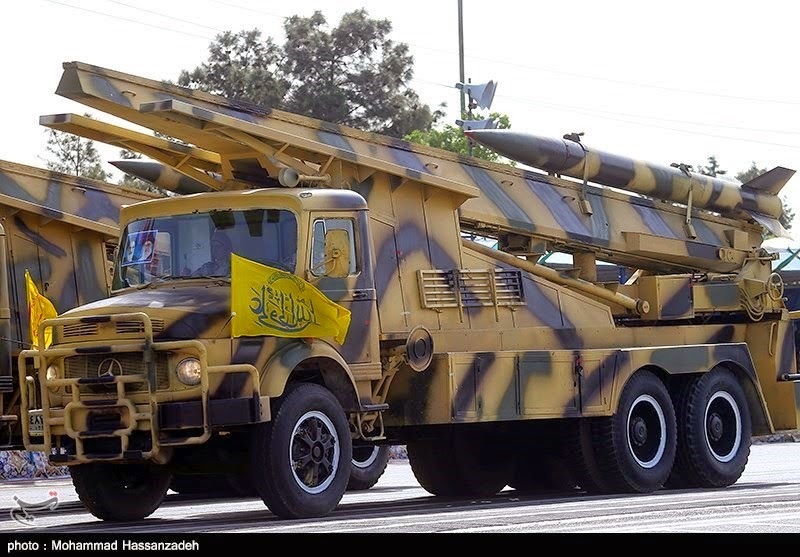 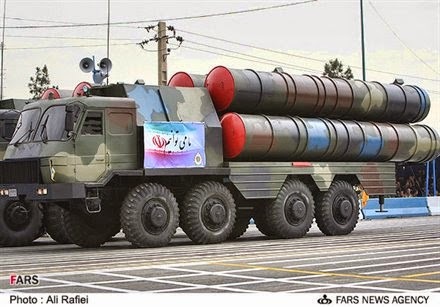 Not to be confused with the Iranian Fajr-3 multiple rocket launcher. 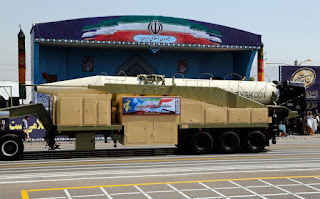 Sijjil two stage ballistic missile with a 2,500 km range. 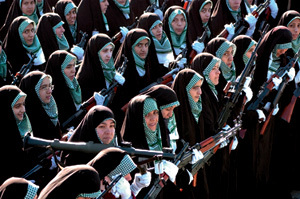 The Sijjil were deadly little stones dropped by the Ababil birds mentioned in the Quran. 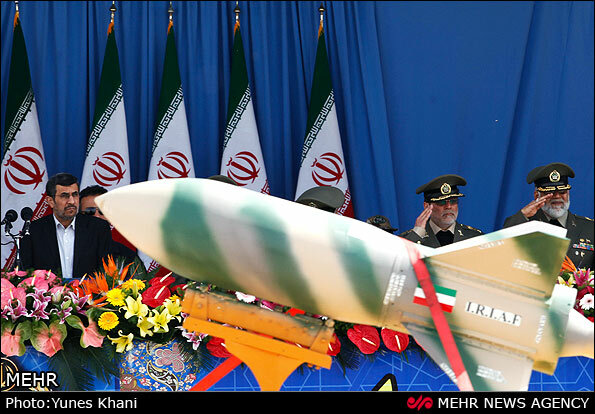 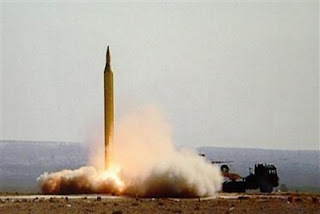 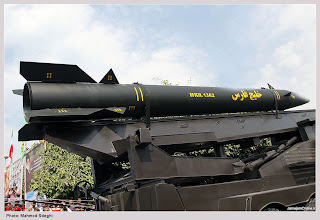 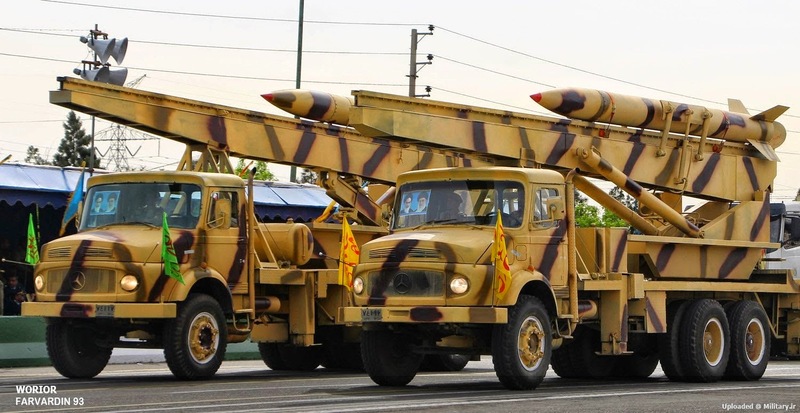 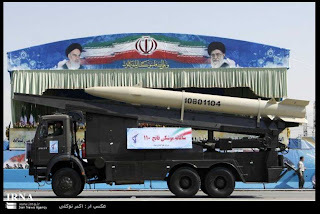 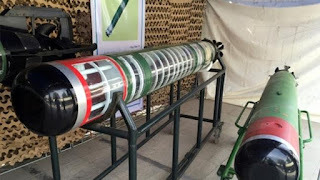 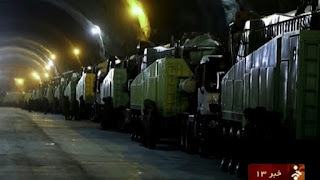 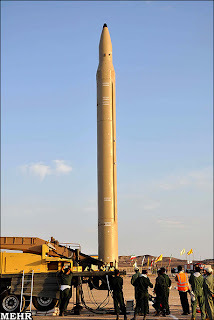 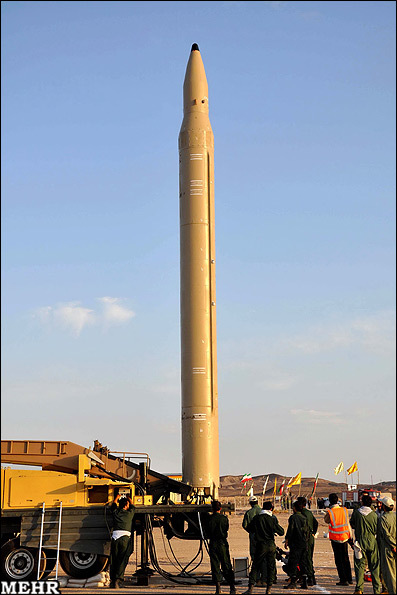 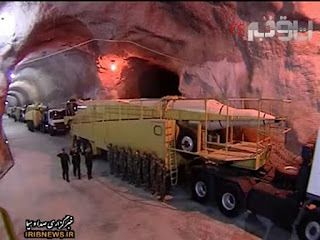 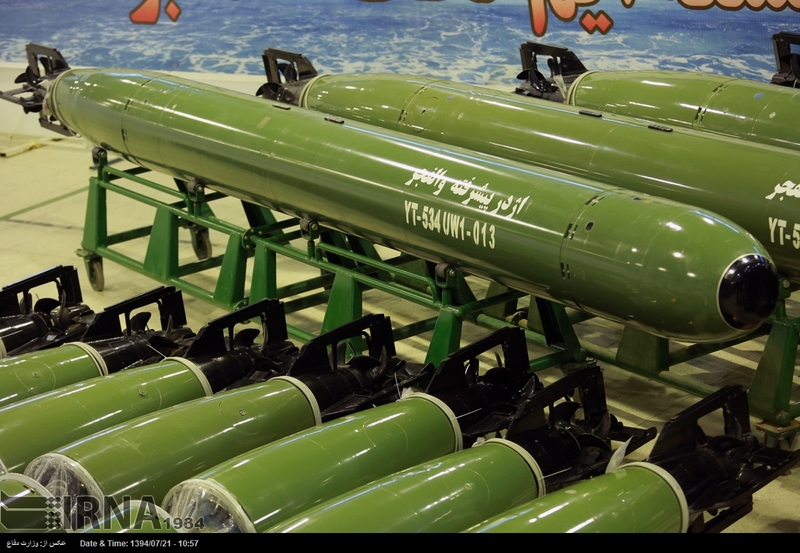 Shahab-1 (Meteor-1) Iranian made missiles based upon the SS-1 Scud B.
Shahab-2 (Meteor-2) Iranian made missiles based upon the SS-1 Scud C. Shahab means meteor in Farsi. 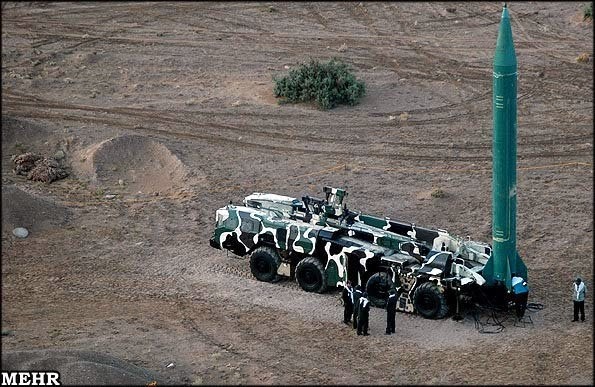 Fateh 313 (Conquerer 313) short range ballistic missiles. Fateh 110 (Conqueror 110) short range ballistic missiles. 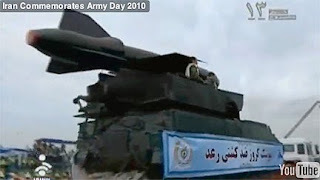 Fateh means conqueror in Farsi. 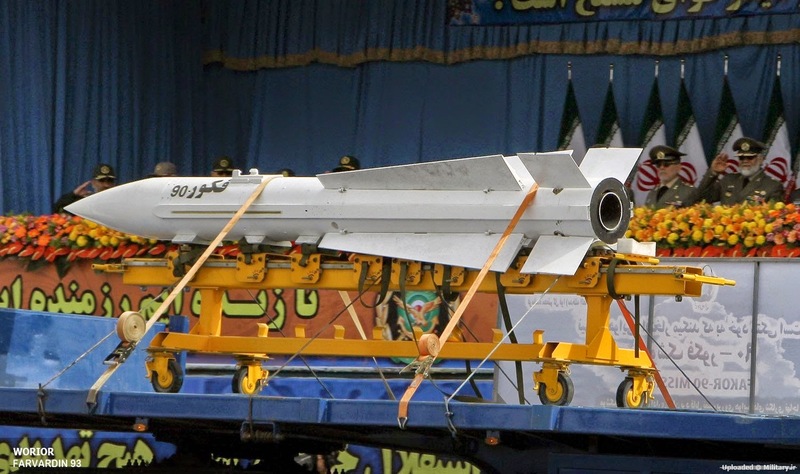 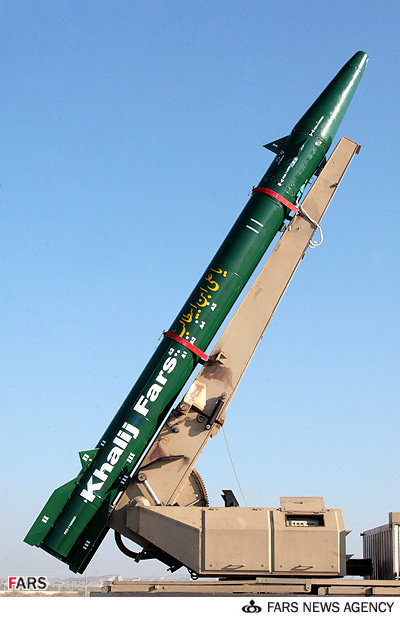 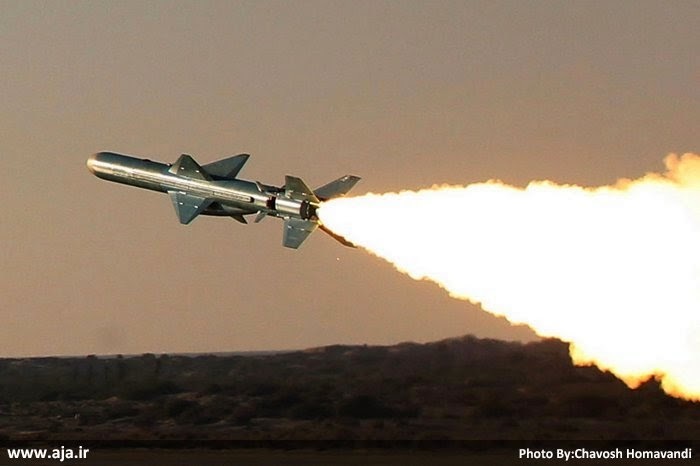 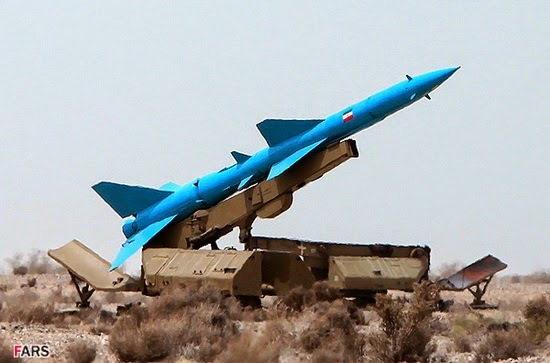 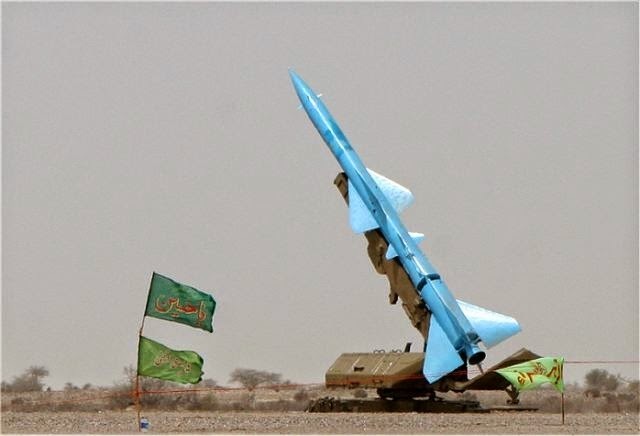 The Khalij Fars (Persian Gulf) is an anti-ship missile variant of the Fateh 110. 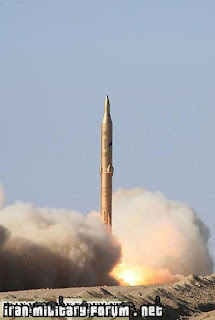 Tondar 69 short range ballistic missiles. These are Chinese M7 (CSS-8) ballistic missiles which are based on a modified SA-2 surface-to-air missiles. 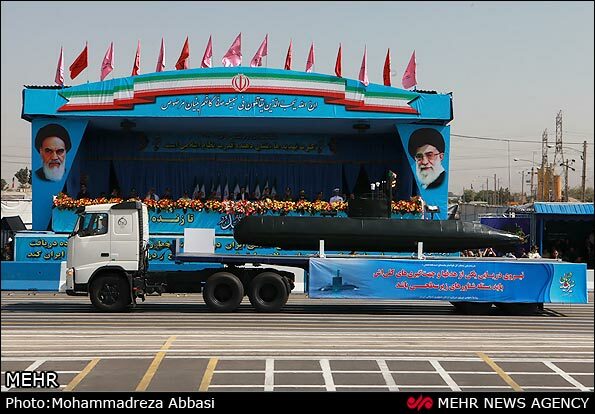 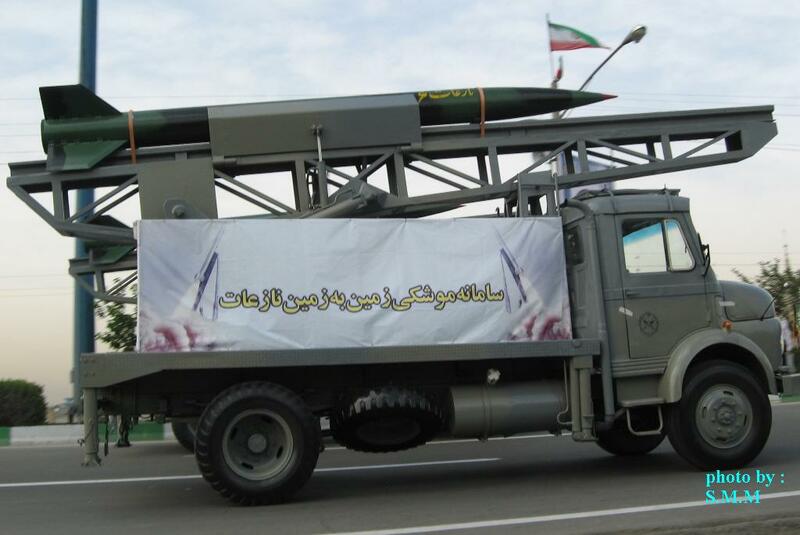 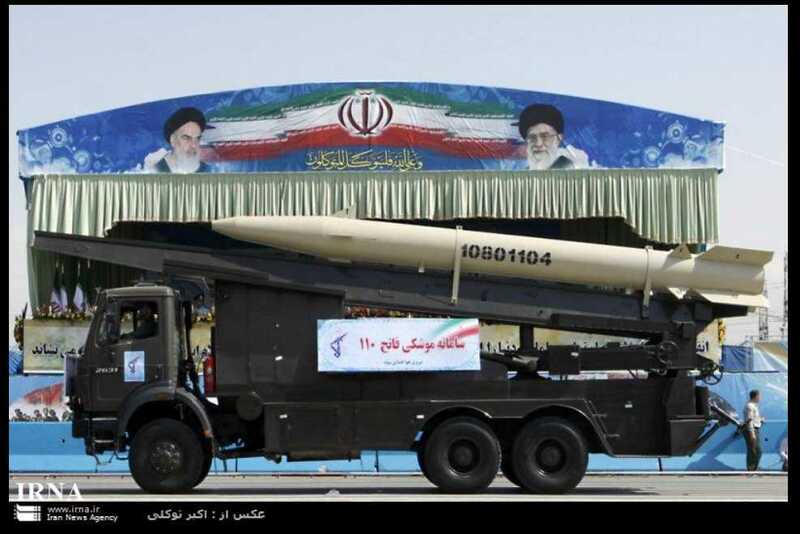 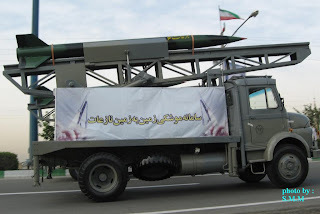 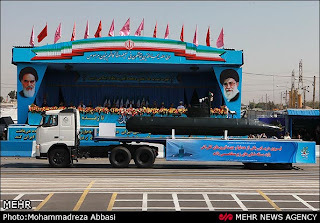 Hoveizeh cruise missile. 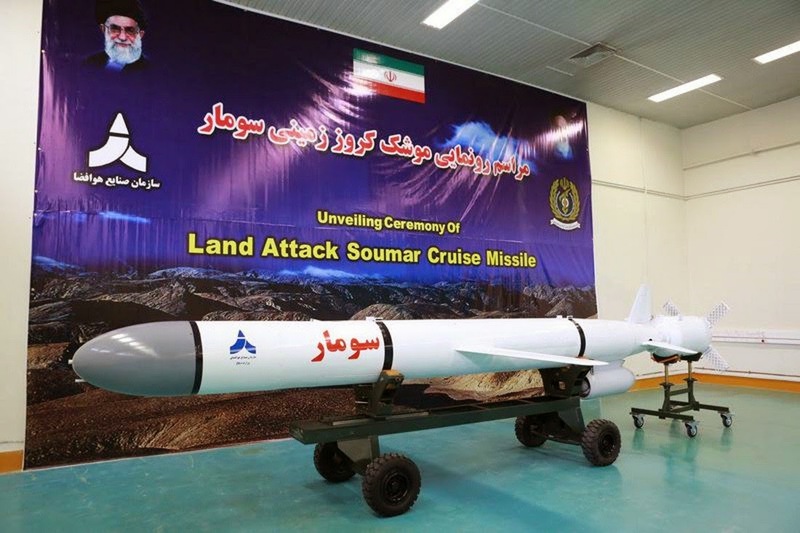 Developed from the Soumar. 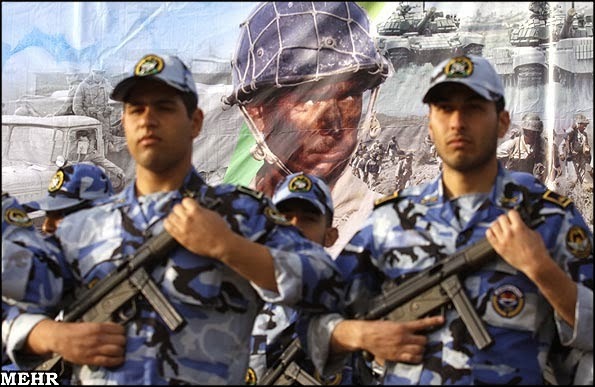 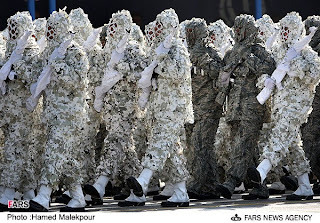 On March 23, 2007 Iranian Revolutionary Guard naval personnel captured 15 British naval personnel after the British sailors ventured into Iranian waters. 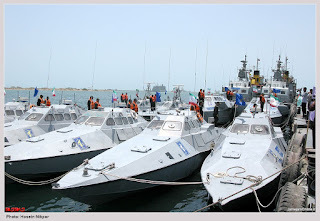 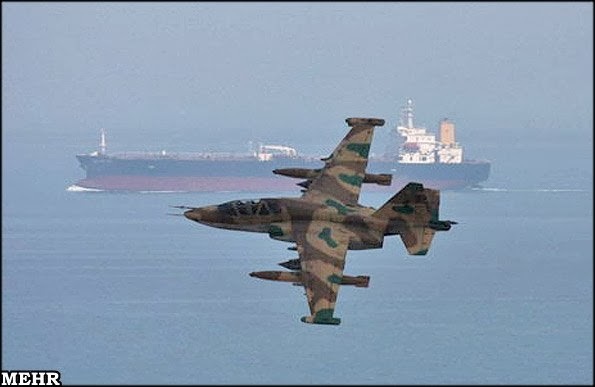 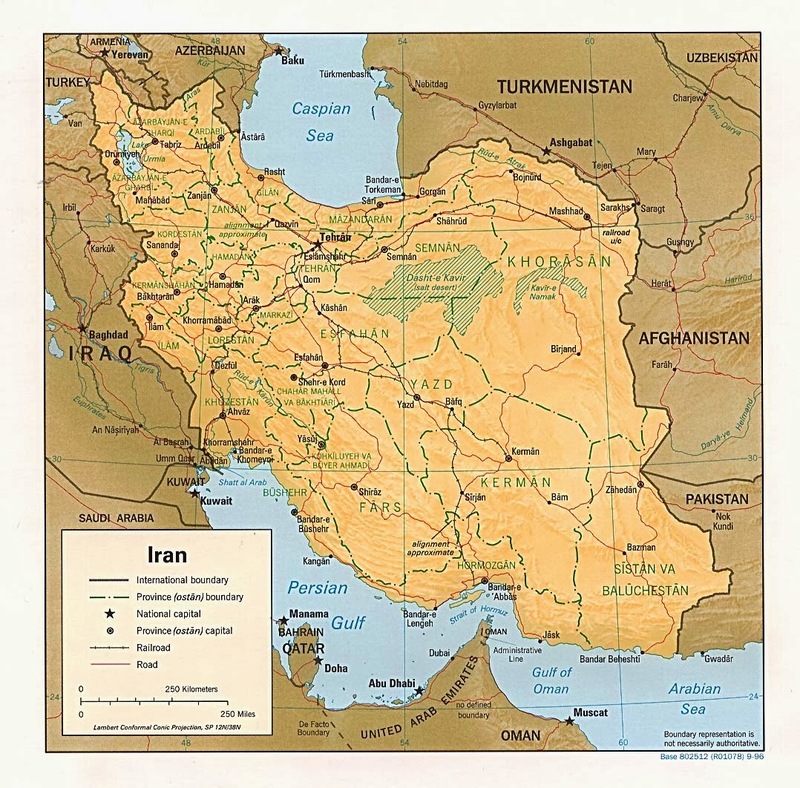 On June 21, 2004 Iranian Revolutionary Guard naval personnel captured 8 British naval personnel after the British sailors ventured into Iranian waters. 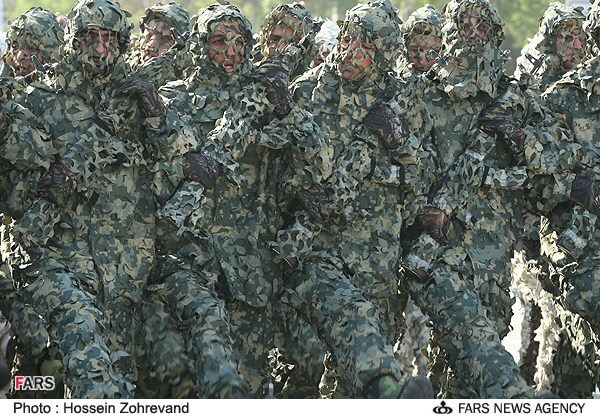 Believed to be around 2,000 to 5,000 personnel. 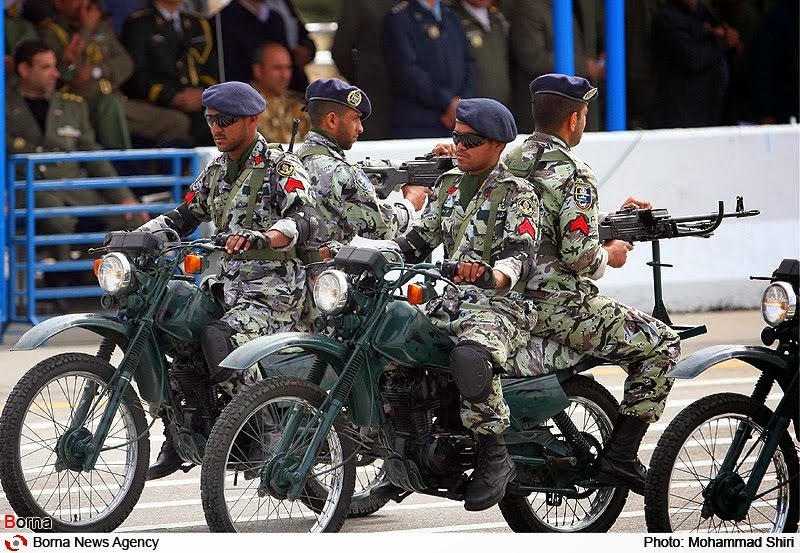 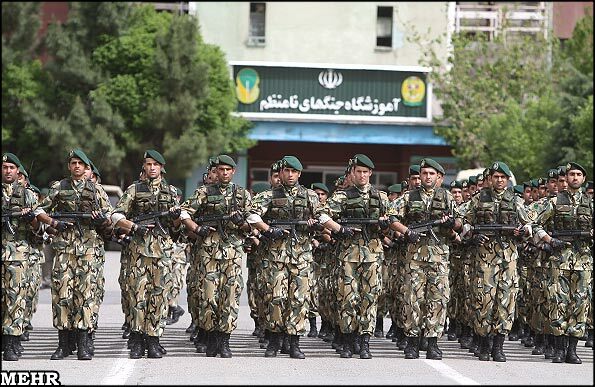 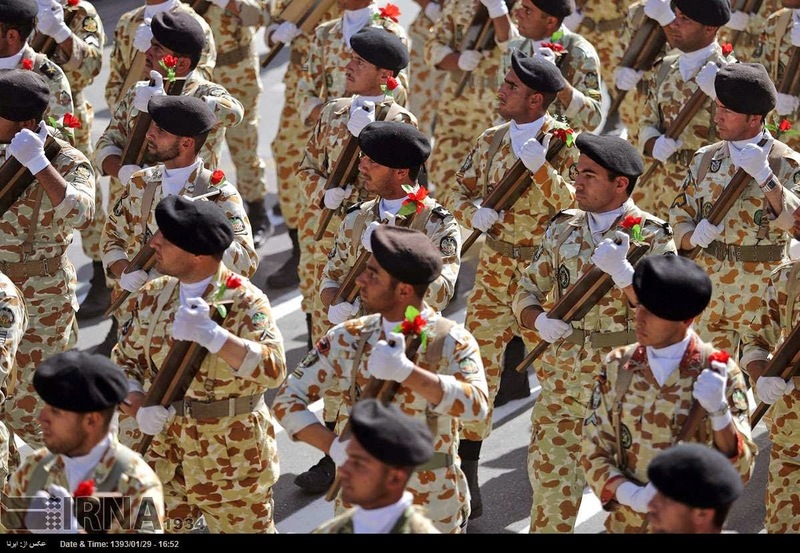 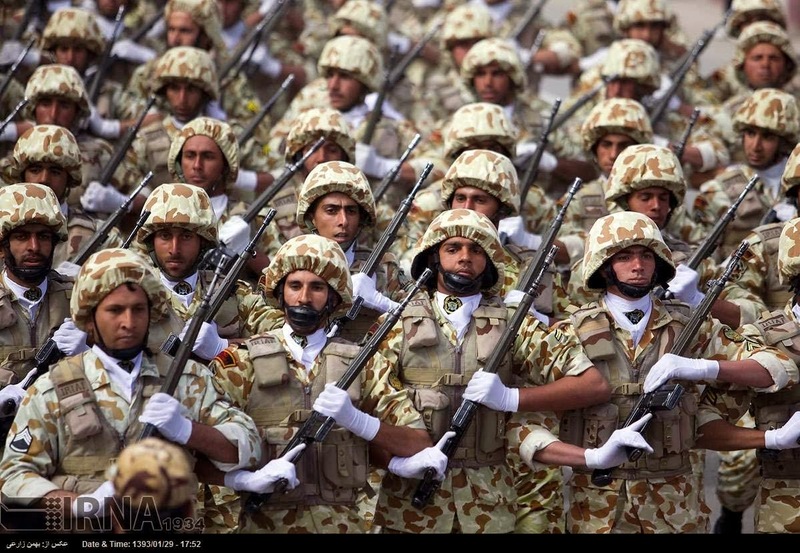 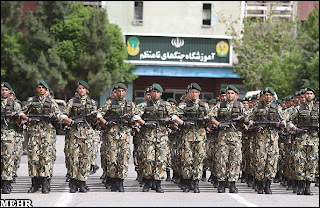 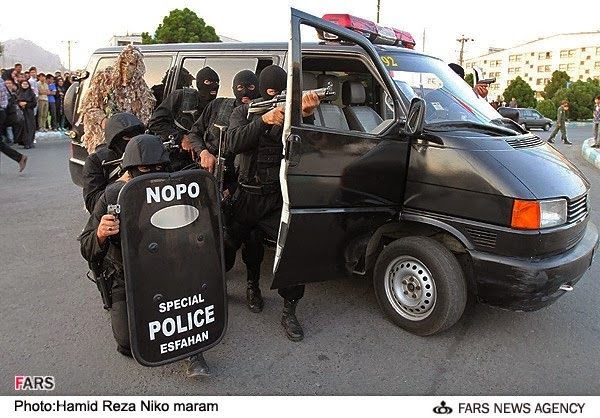 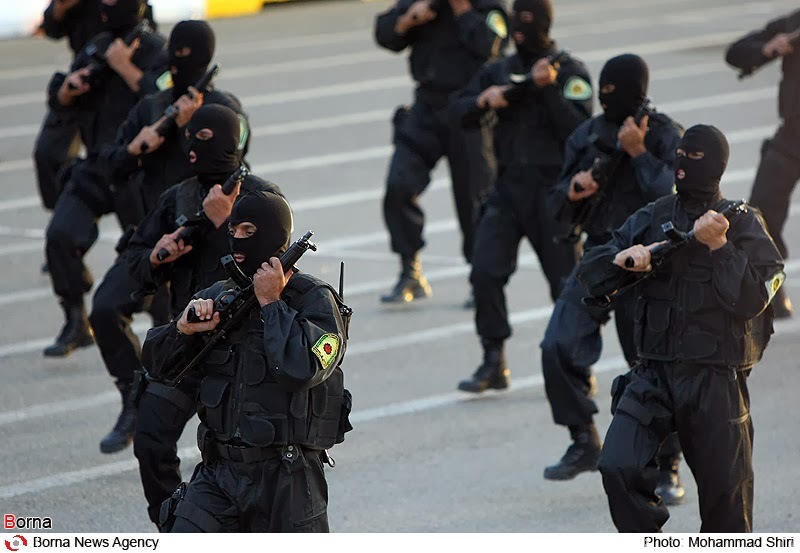 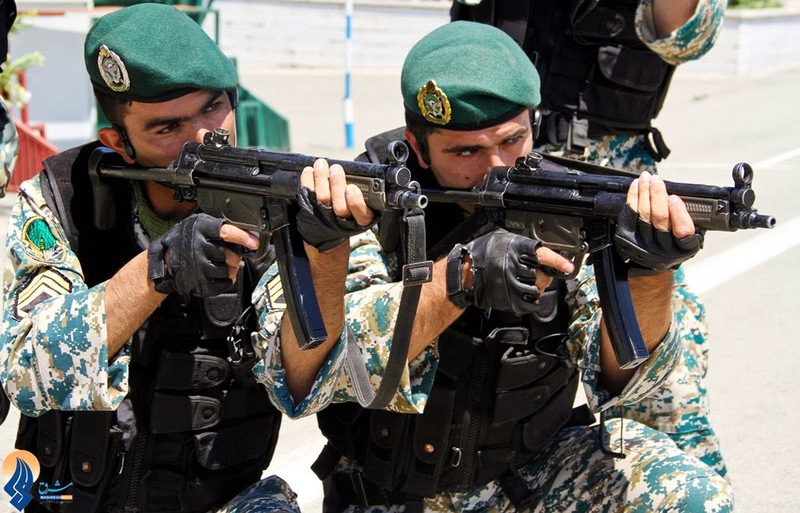 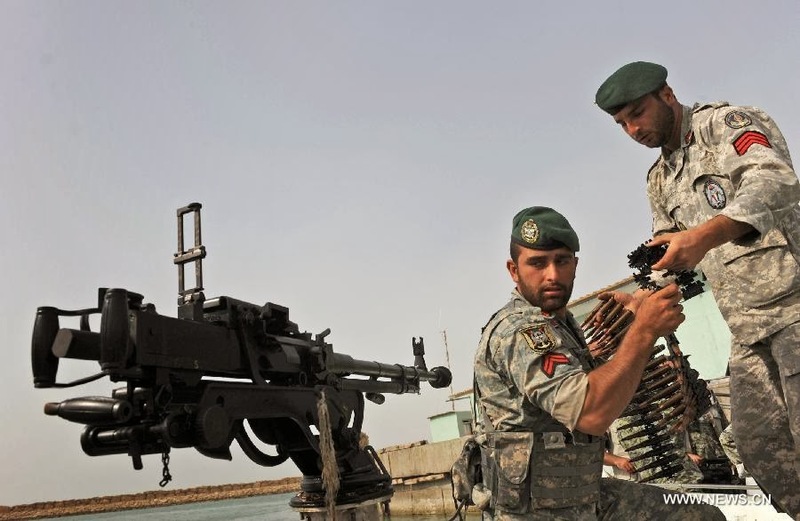 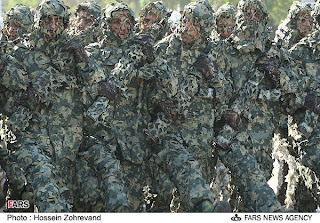 Special Force in the Iranian Revolutionary Guards that conducts activities abroad. 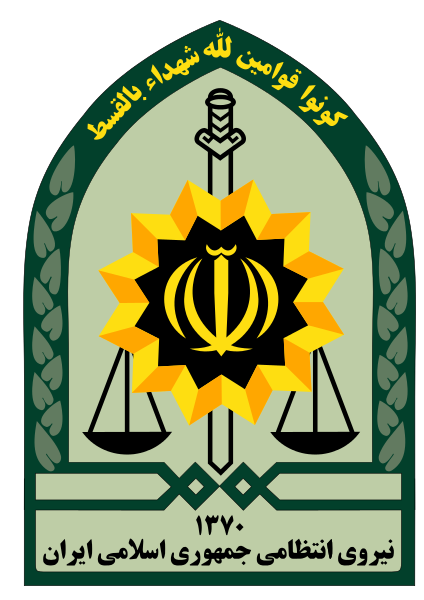 Handles protection of top government officials, except for the Supreme Leader. 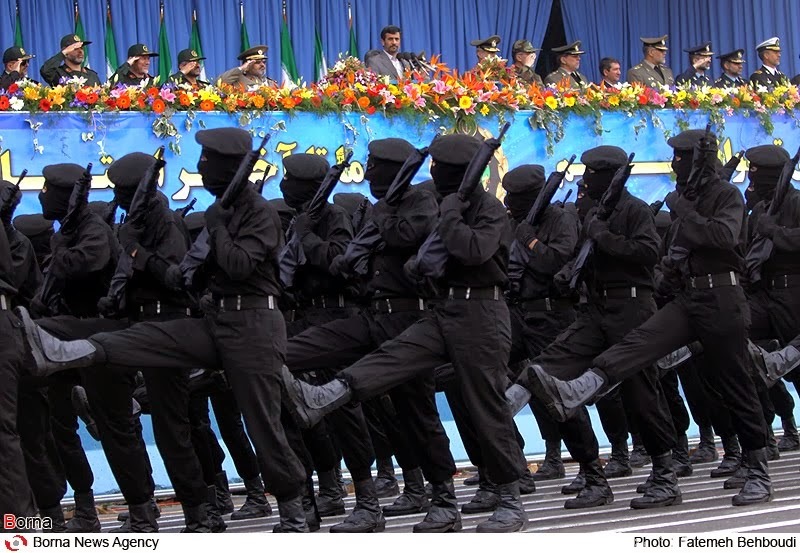 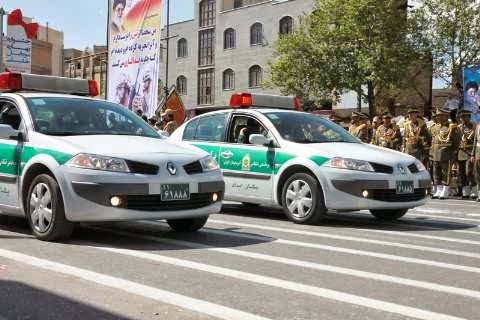 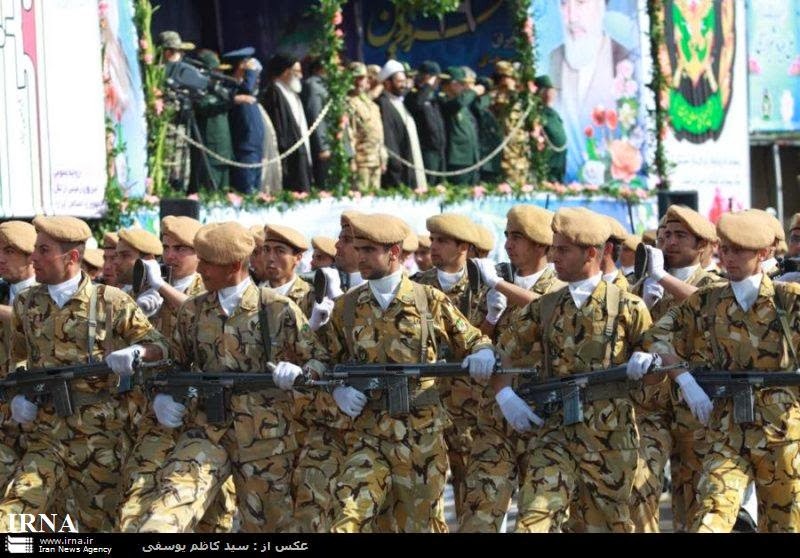 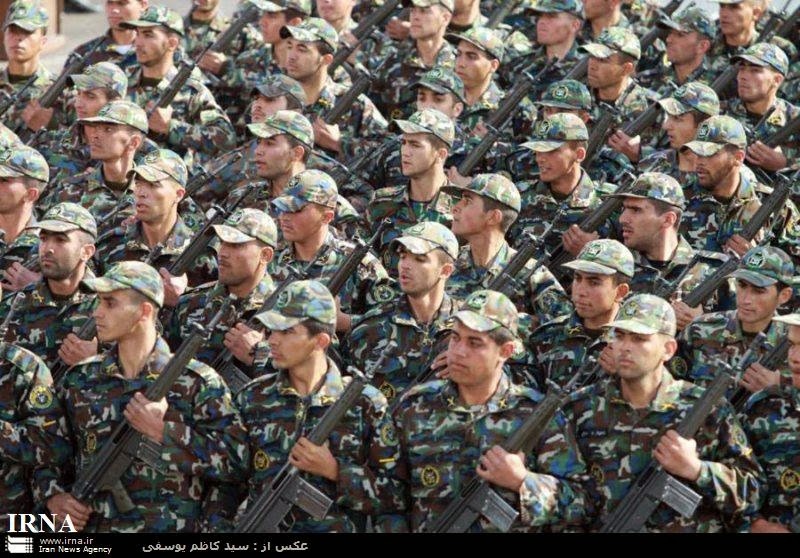 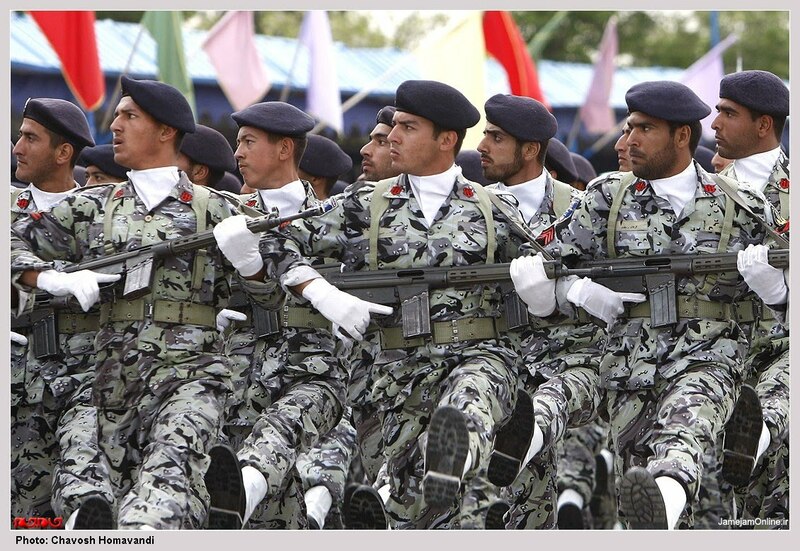 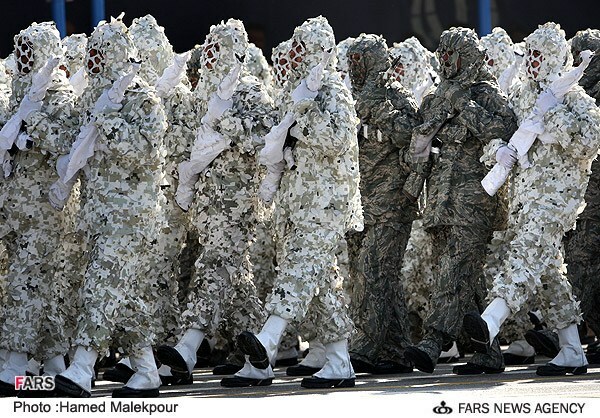 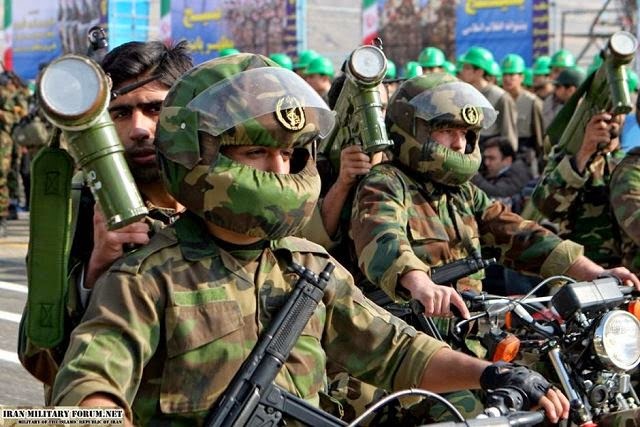 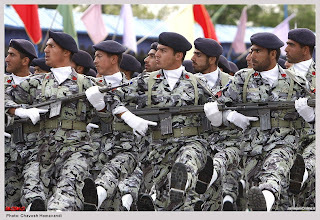 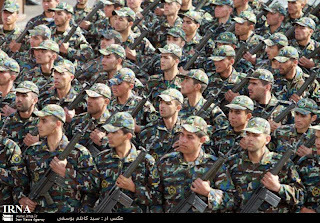 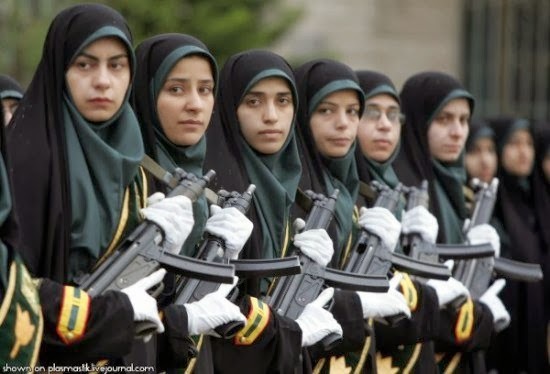 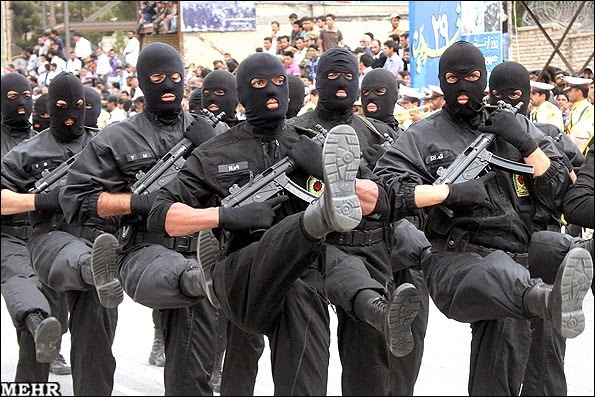 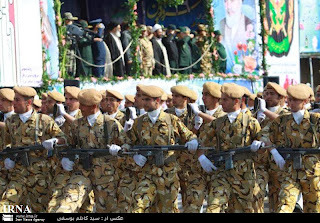 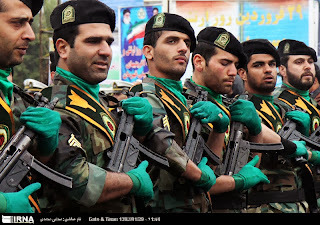 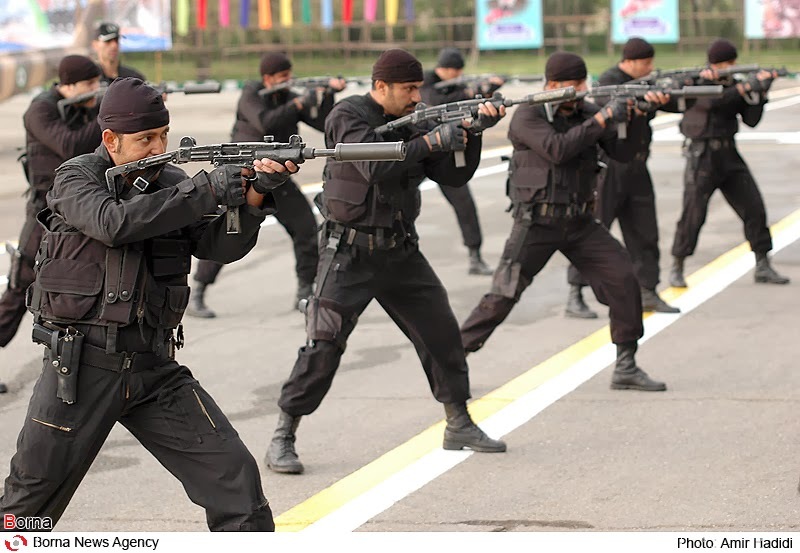 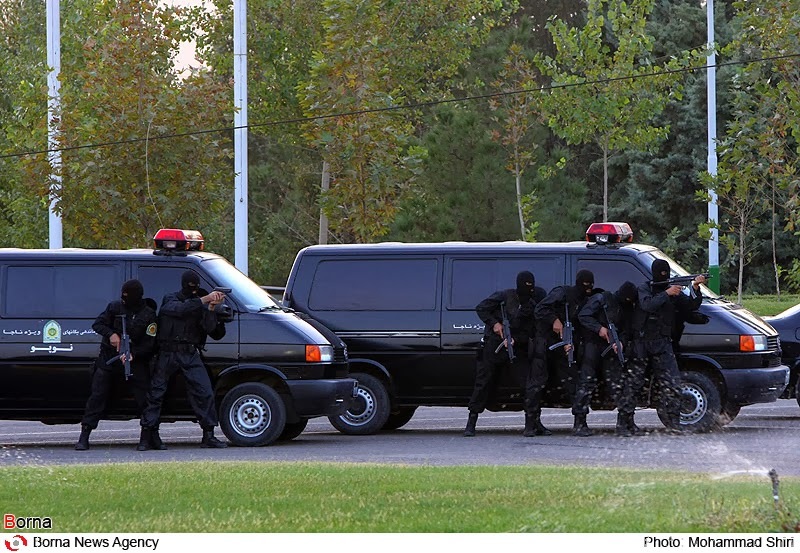 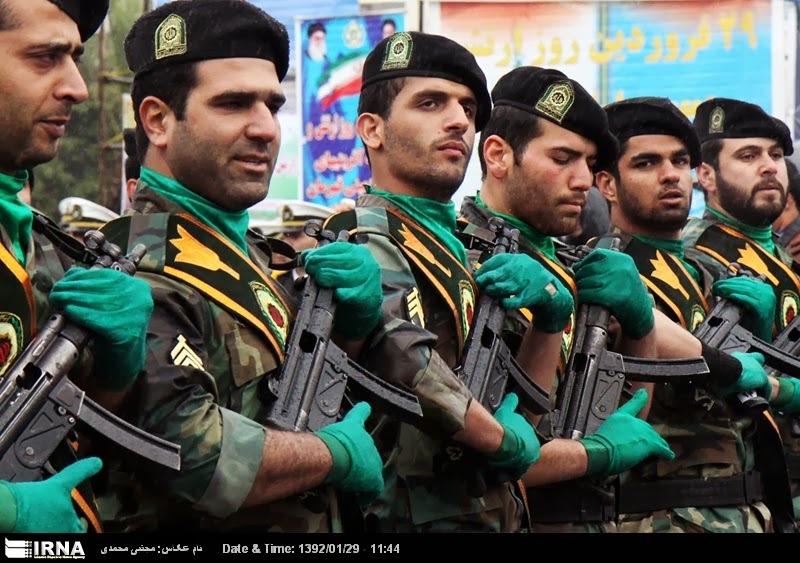 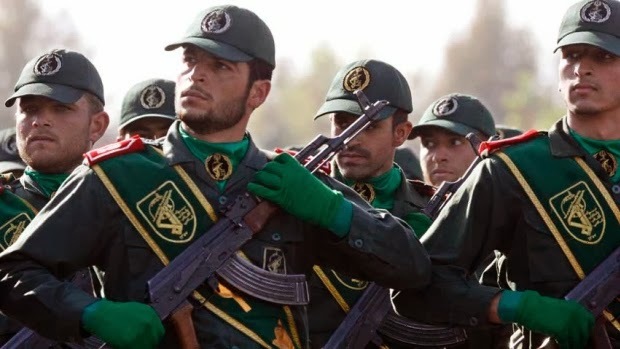 Paramilitary volunteer force controlled by the Revolutionary Guard. Founded by Ayatollah Khomeini in 1979. 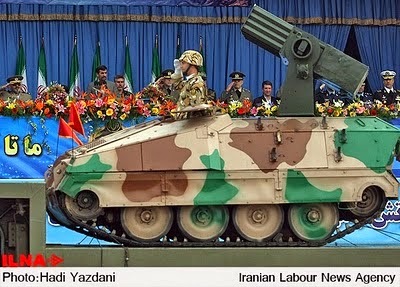 Known for doing human wave attacks during the Iran-Iraq War. Loved and expected martyrdom. 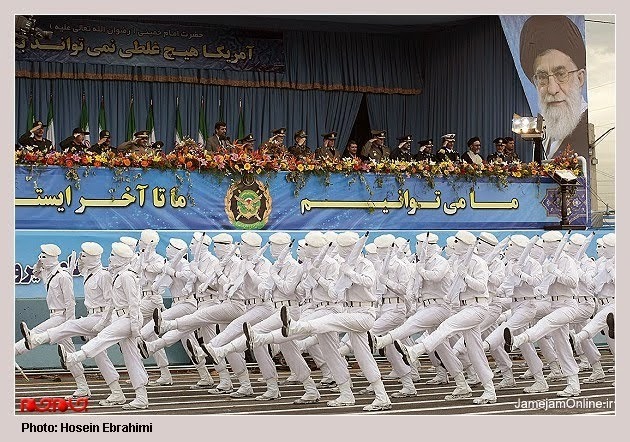 Encouraged martyrdom. 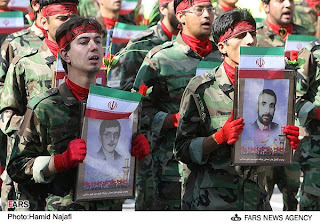 During the war Basij forces were usually lightly armed and unsupported by artillery or aircraft. 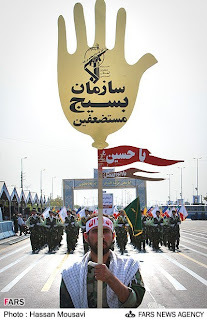 Volunteers ranged from 12 year old kids to men in their 80's. 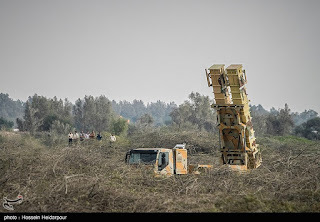 Often cleared minefields by running across them. 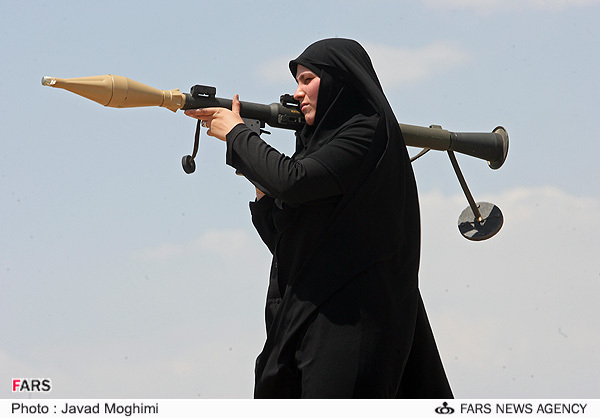 Also used during the war to draw enemy fire. 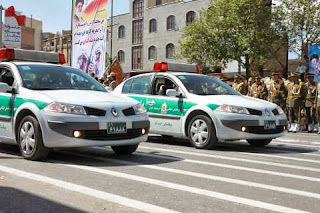 Also responsible for helping police forces.